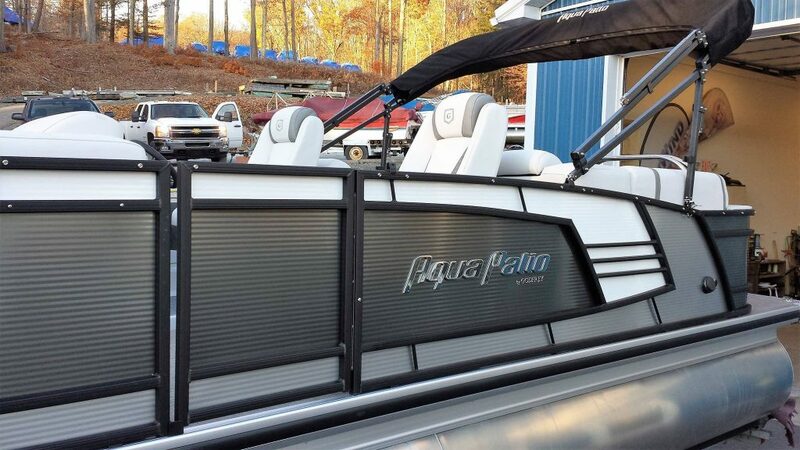 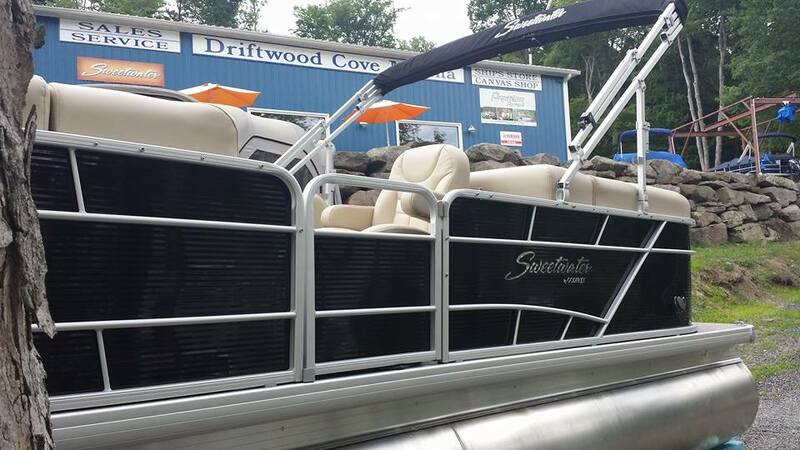 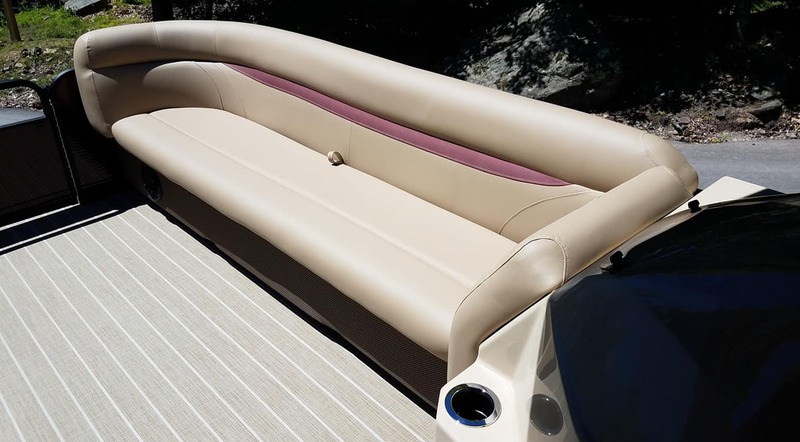 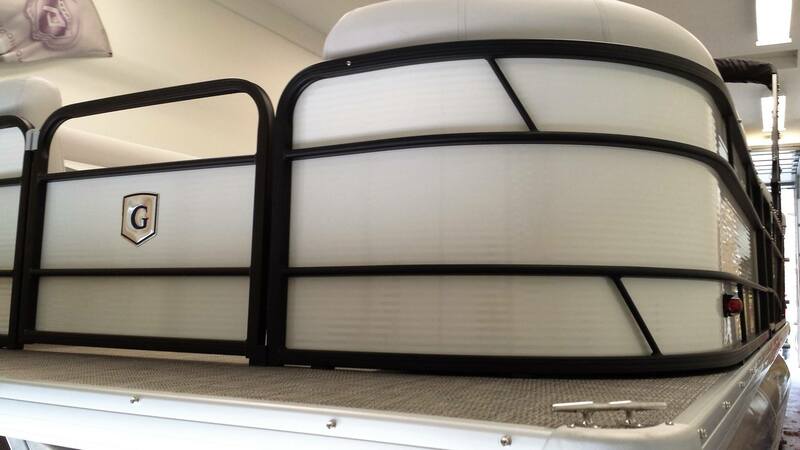 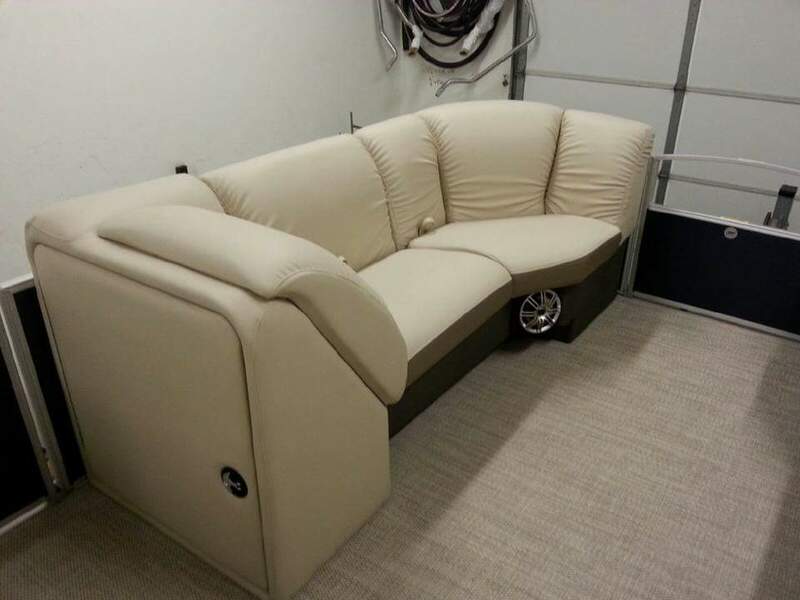 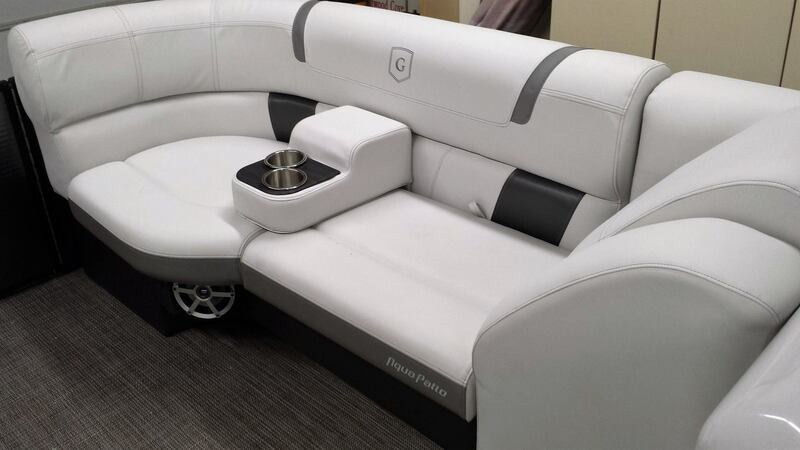 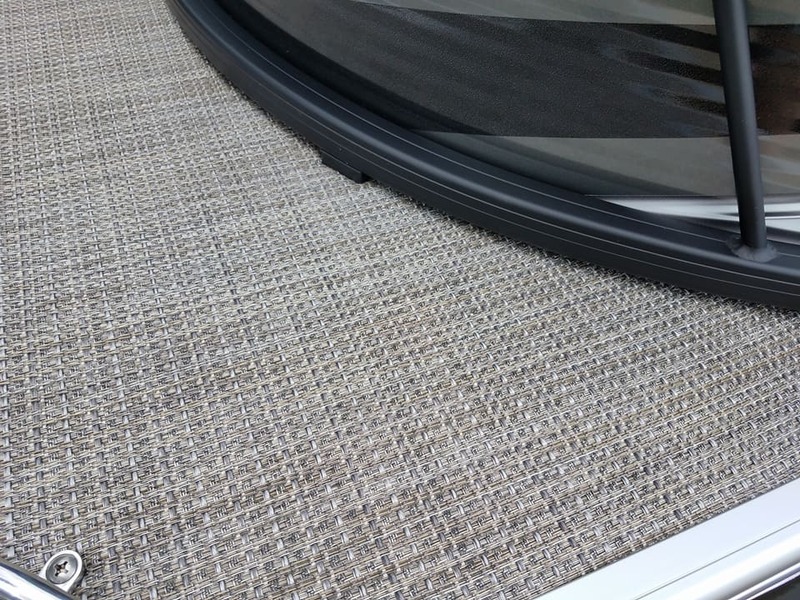 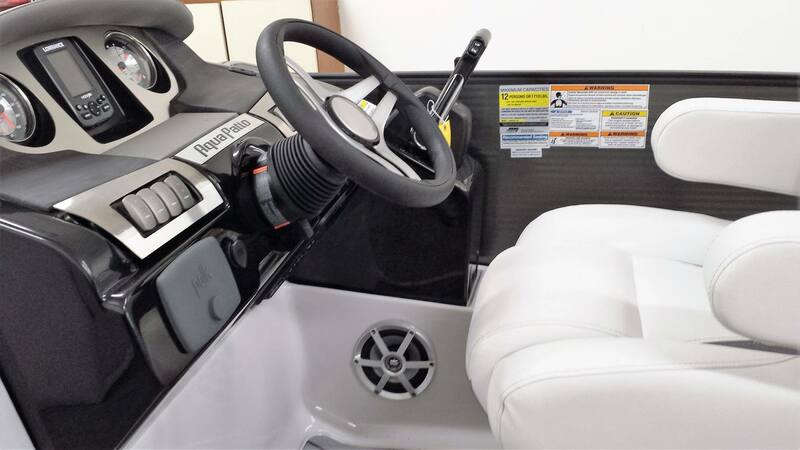 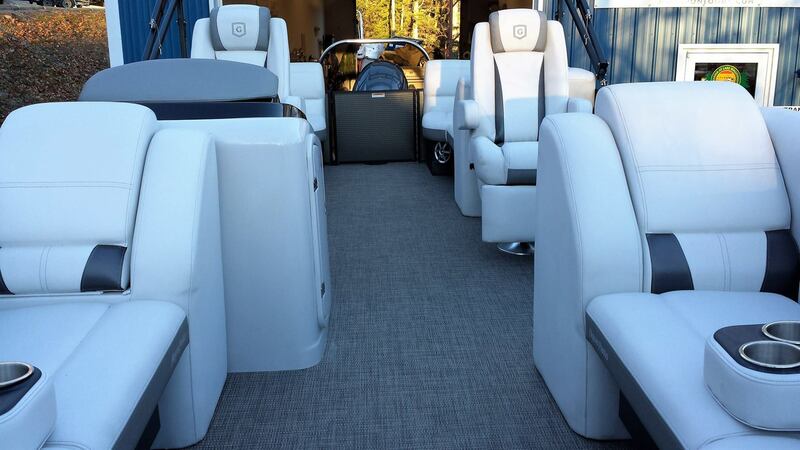 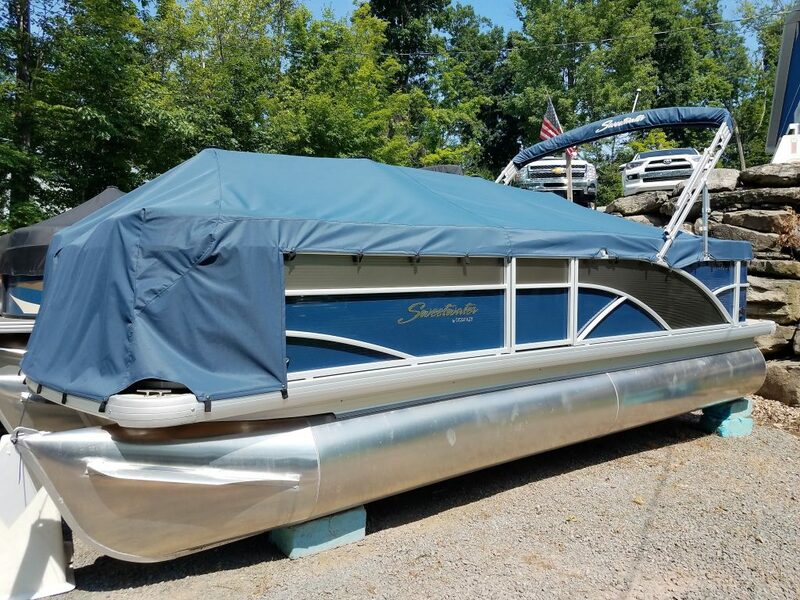 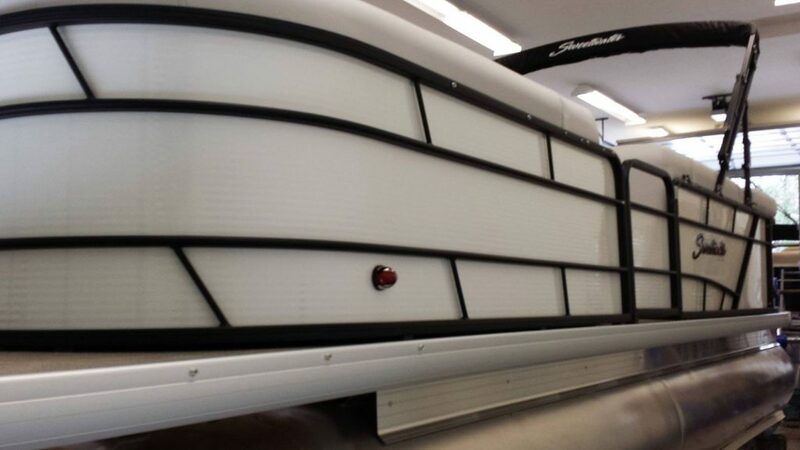 Purchase A NEW Sweetwater Pontoon Boat From Driftwood Cove Marina, An Authorized Dealer. 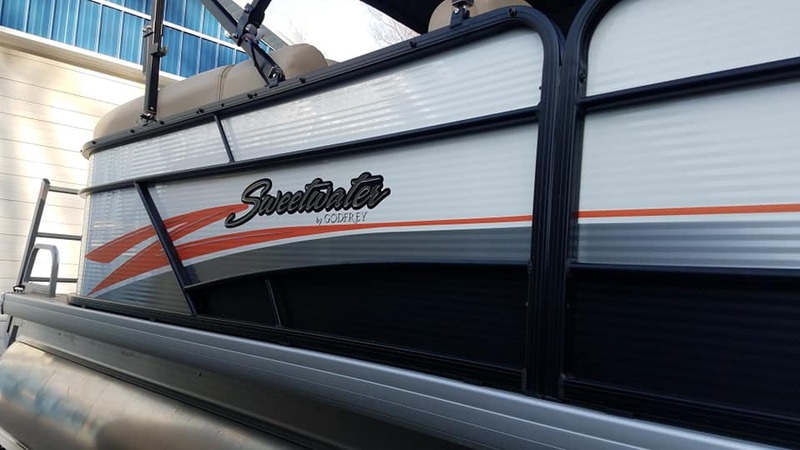 Stop By Today To Take A Look At Our Sweetwater Inventory! 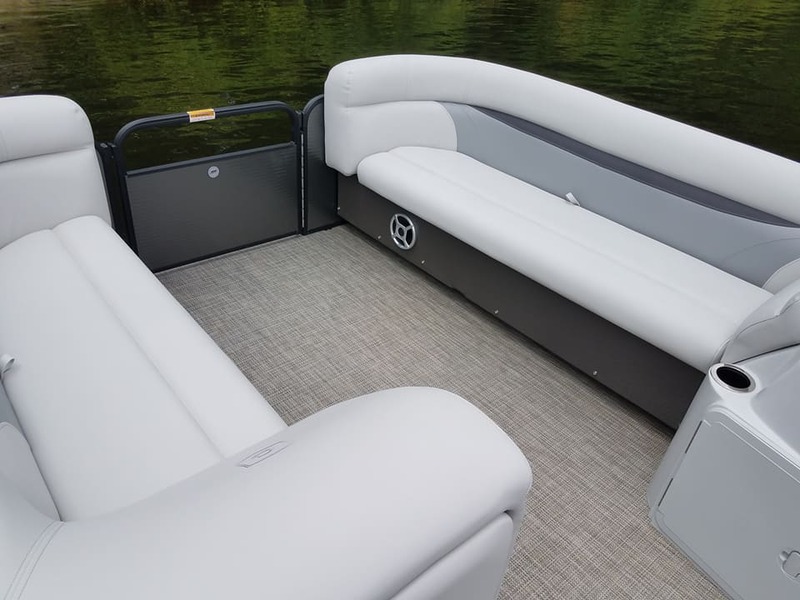 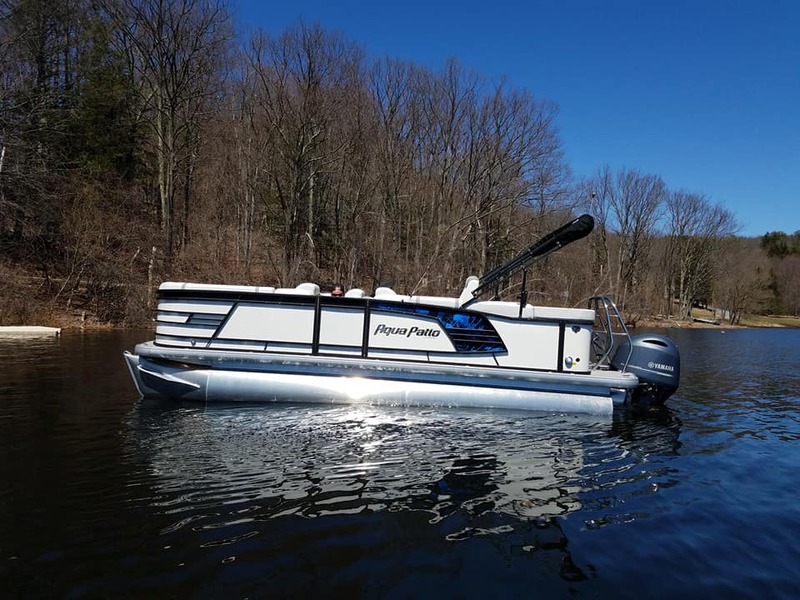 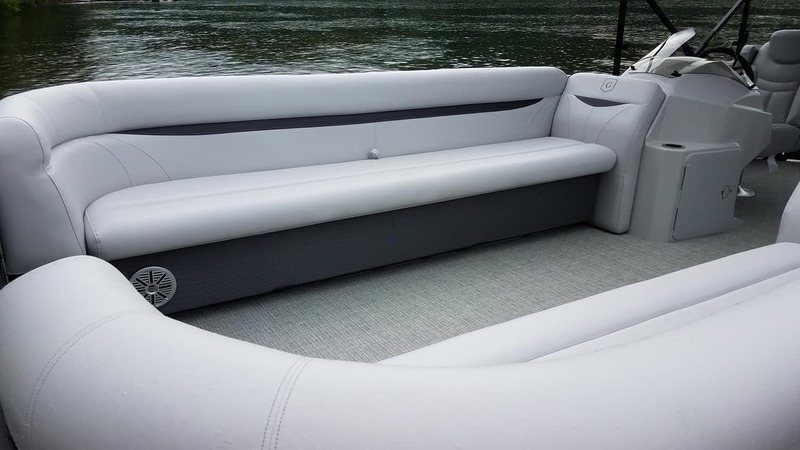 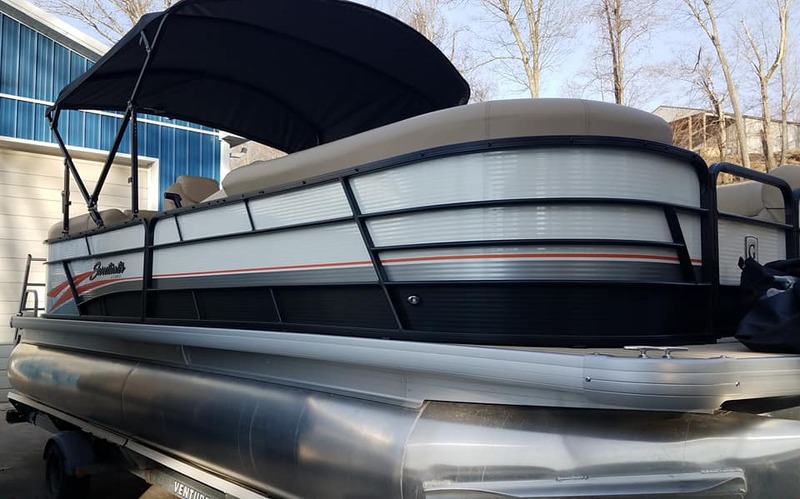 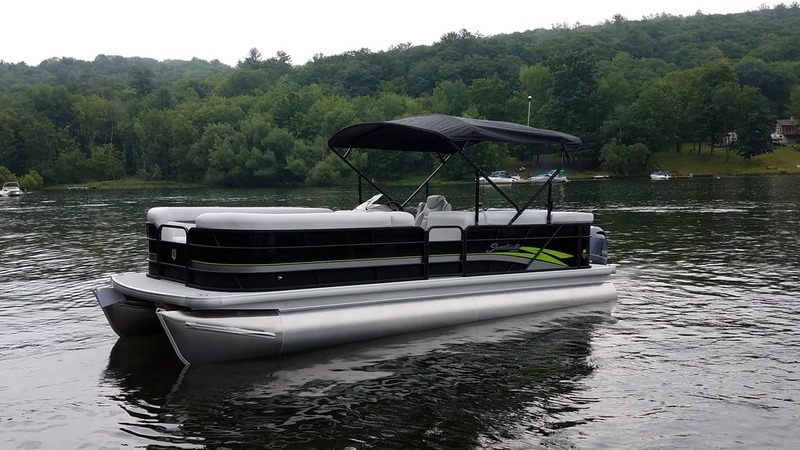 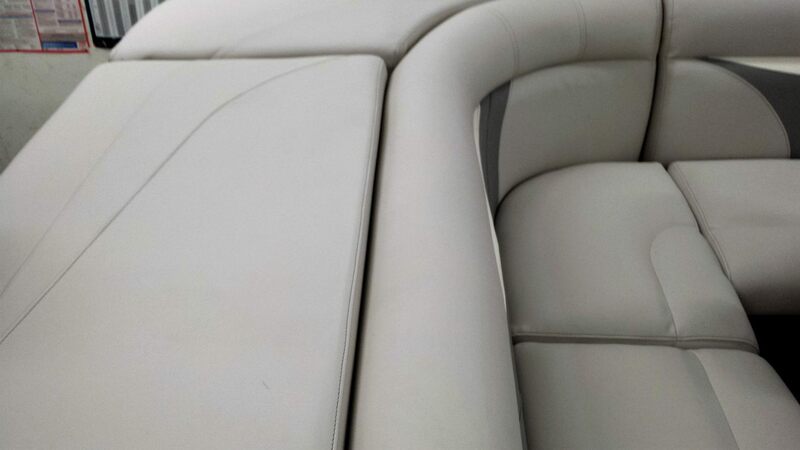 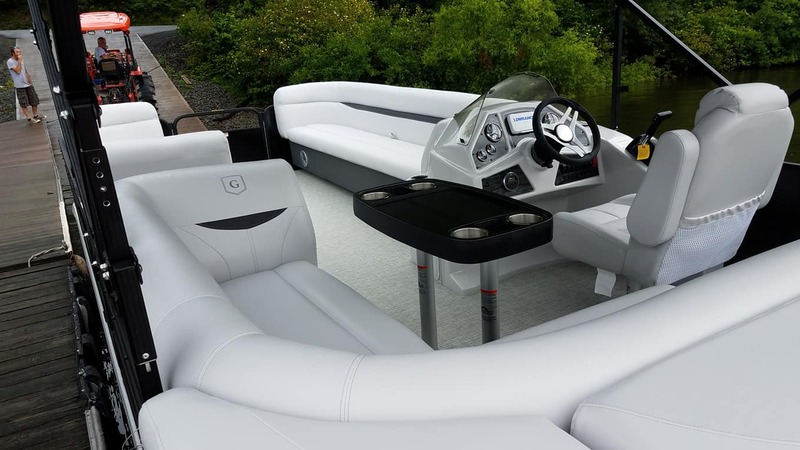 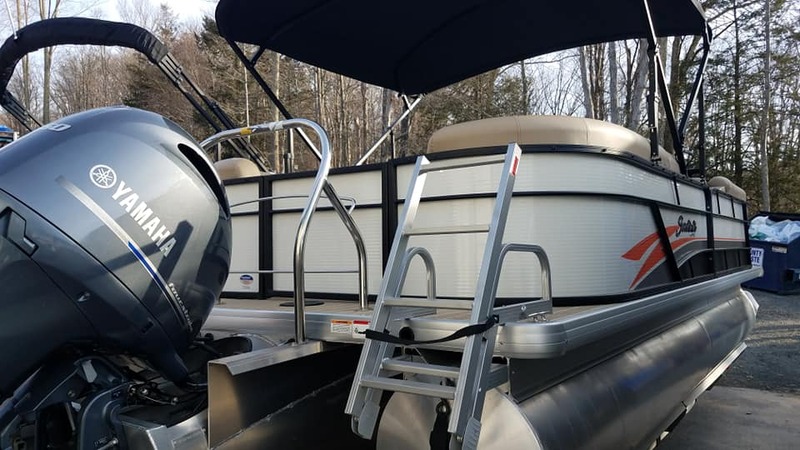 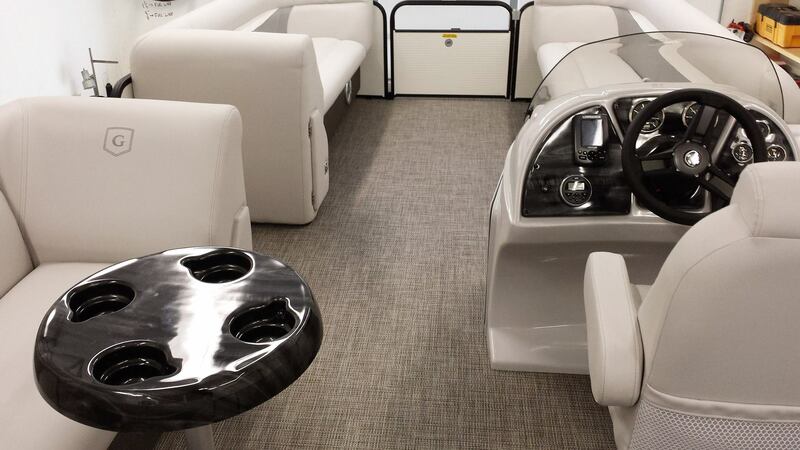 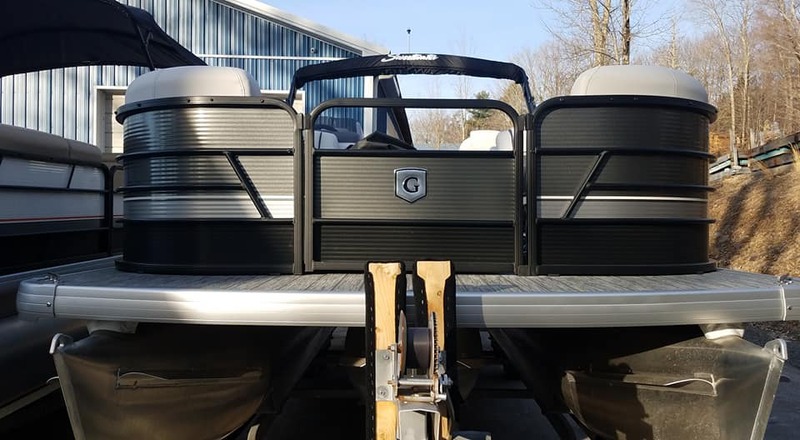 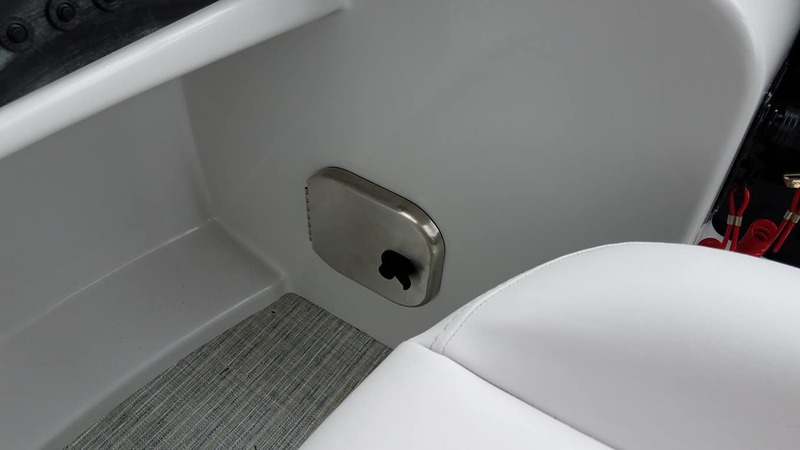 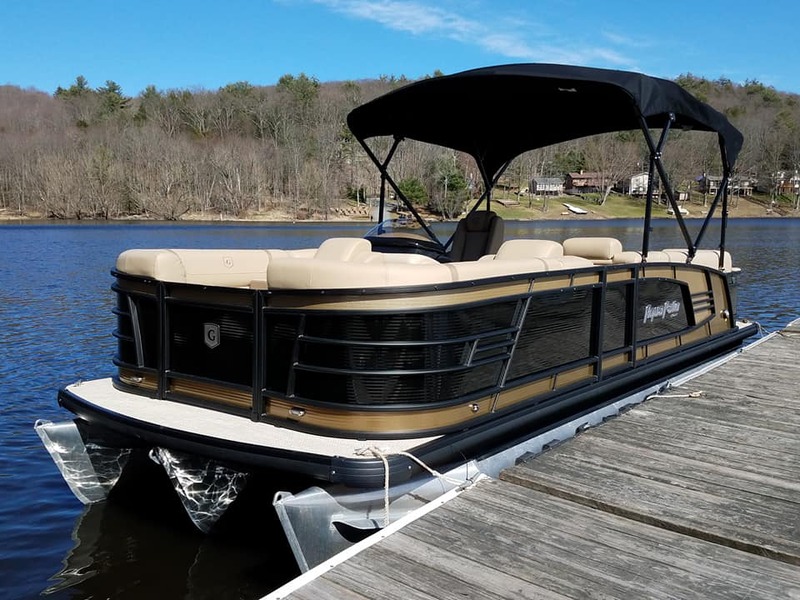 Whether you’re after the best-value pontoon on the water with the base Sweetwater, or you prefer the well-chosen upgraded amenities of the Sweetwater Premium Edition, you will soon discover why these are the most popular pontoons on the water. 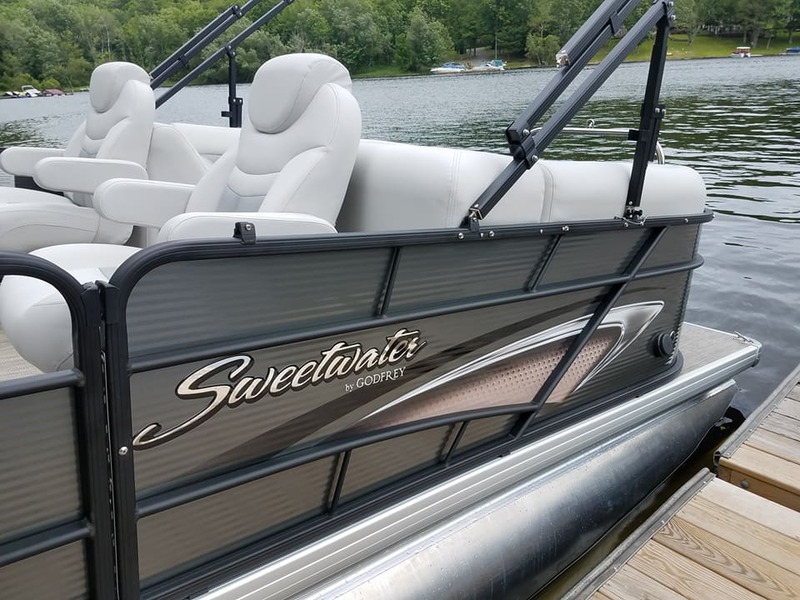 With a long list of standard features, an incredible variety of layouts and stunning design options, you are sure to find a Sweetwater to fit your lifestyle. 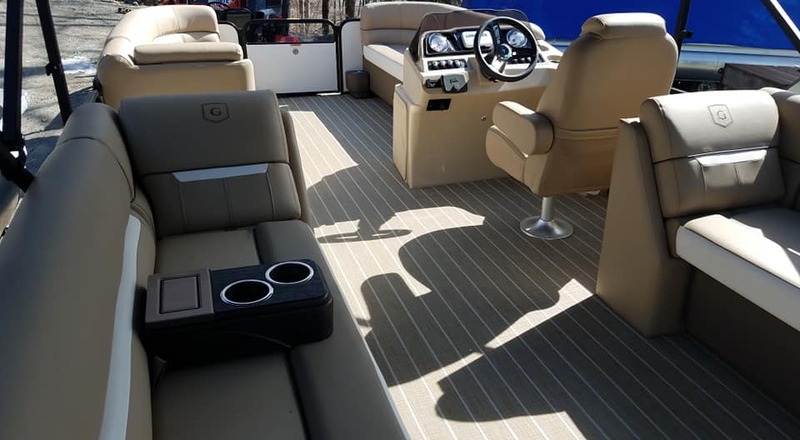 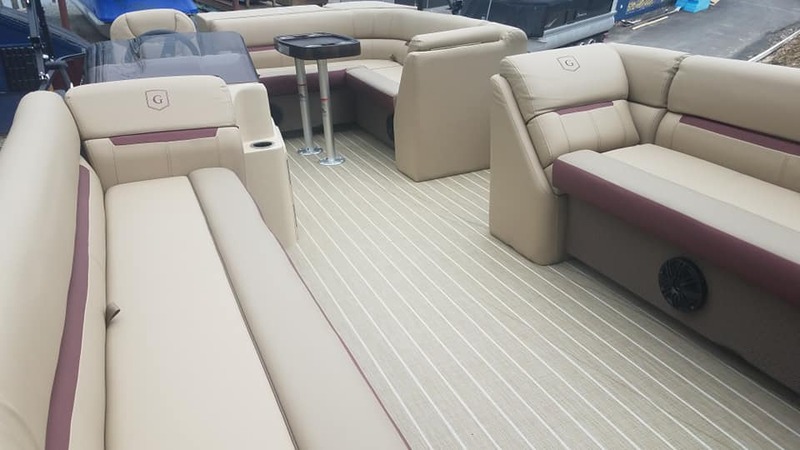 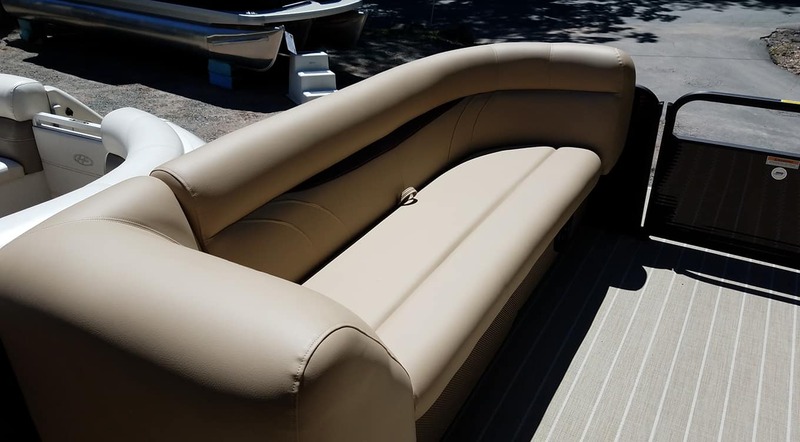 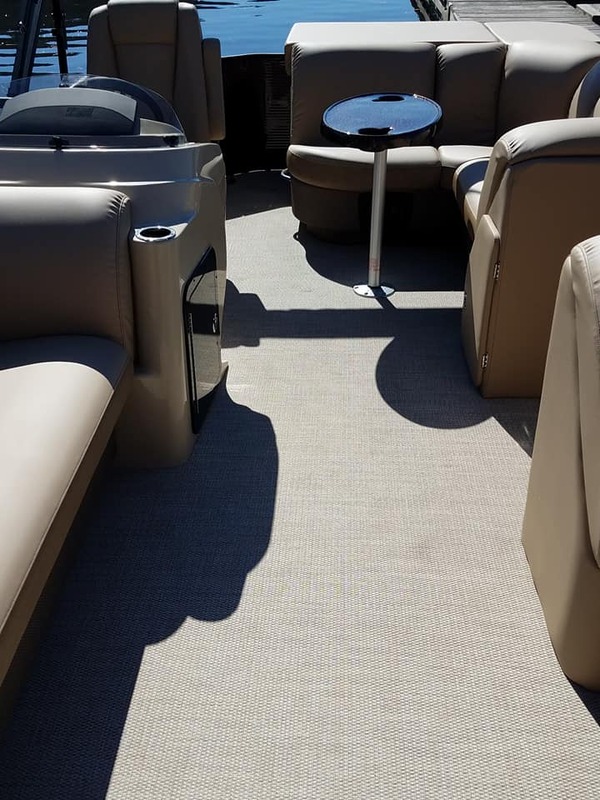 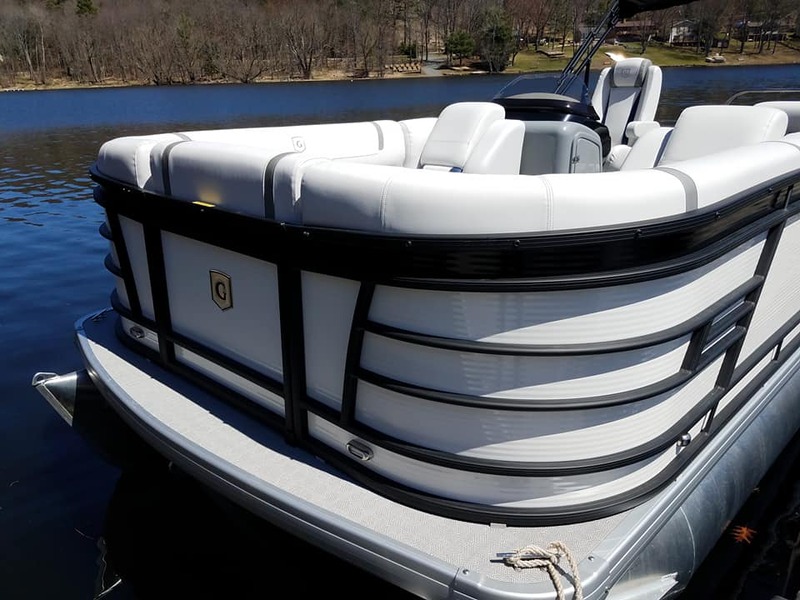 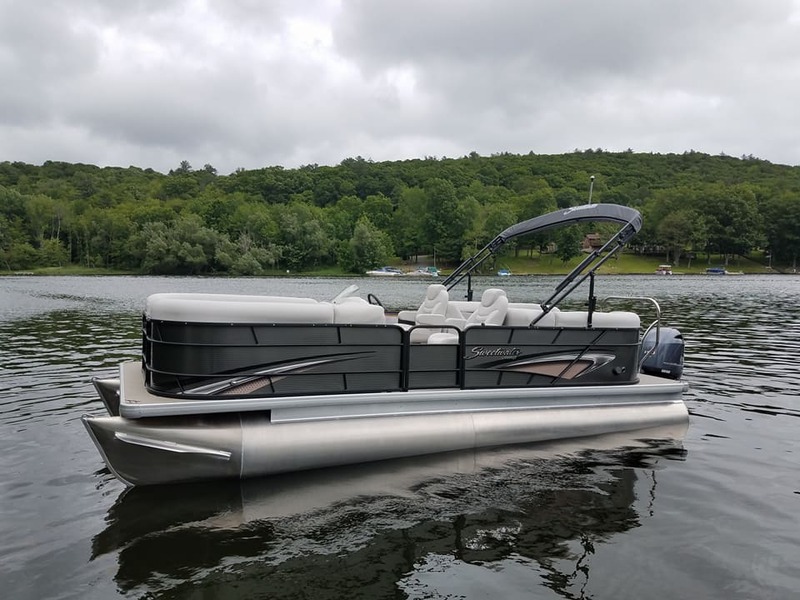 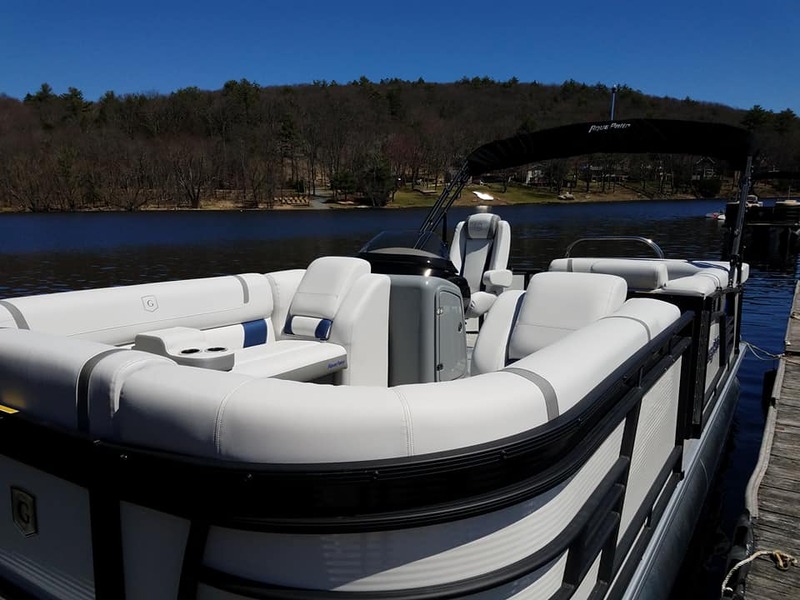 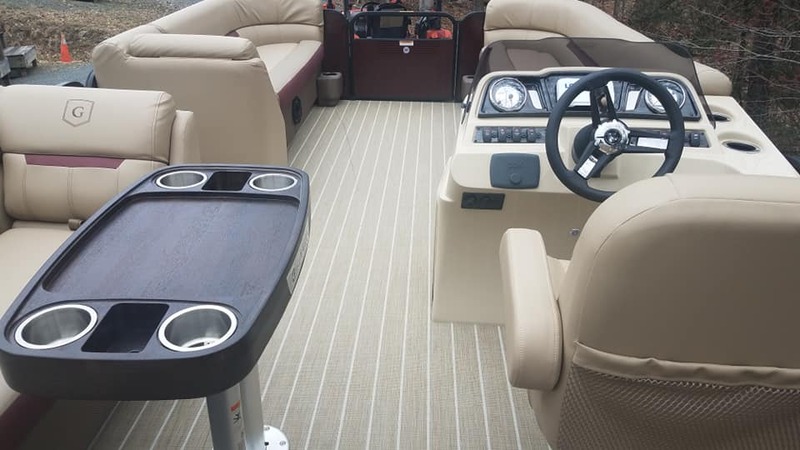 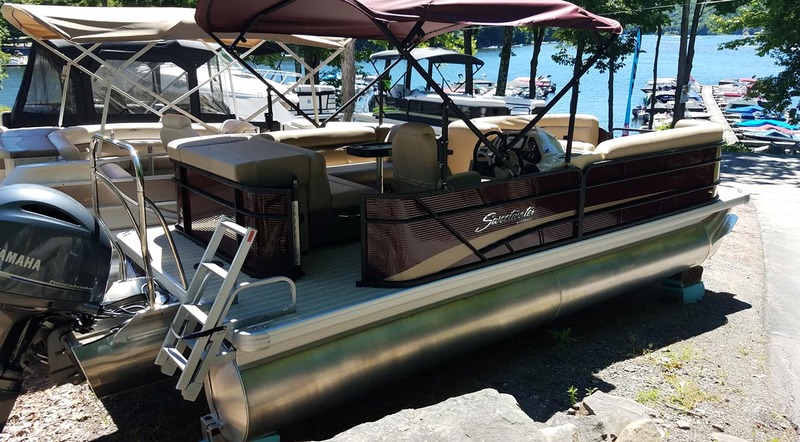 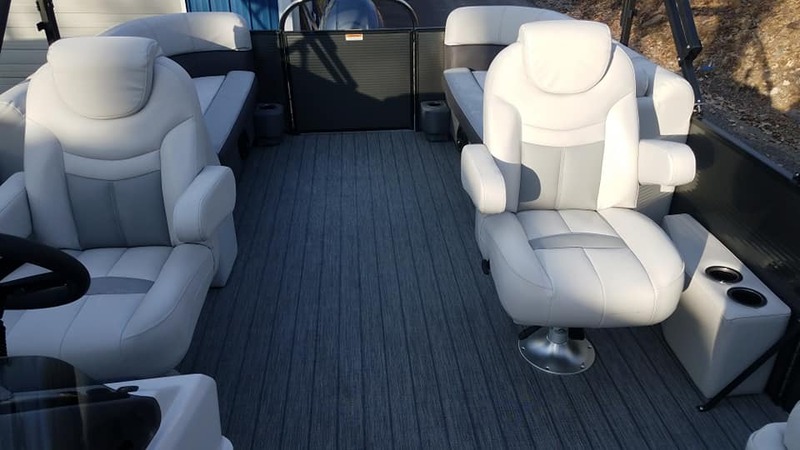 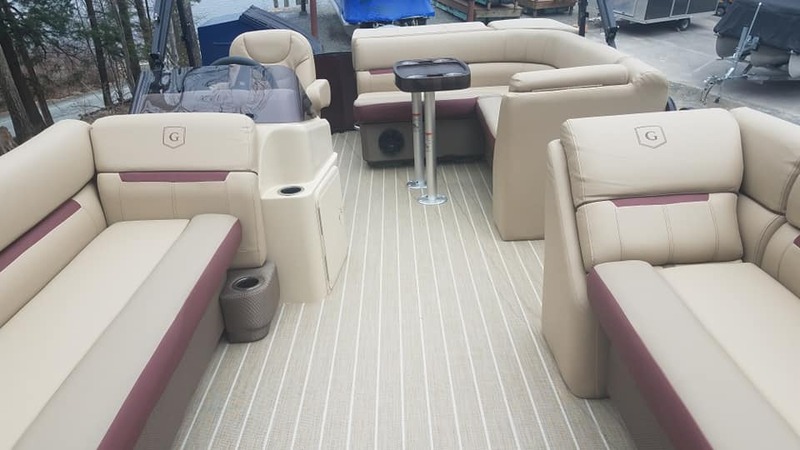 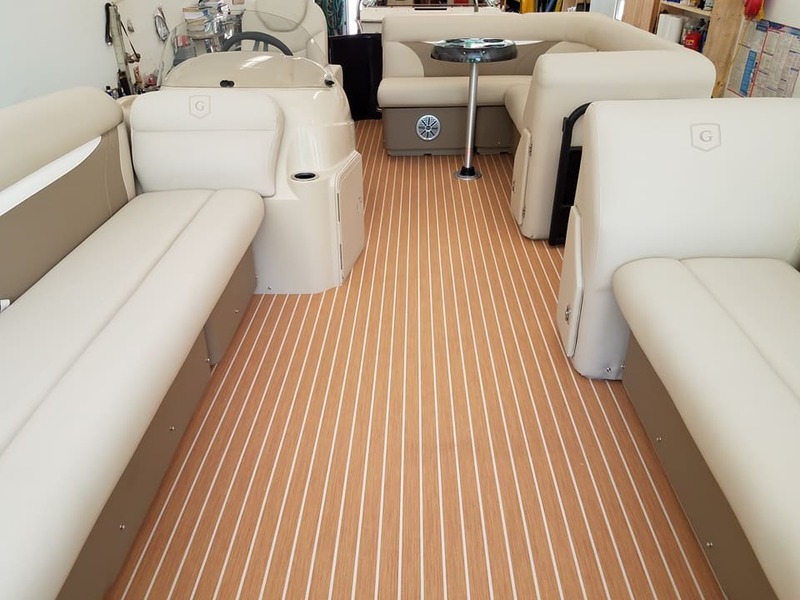 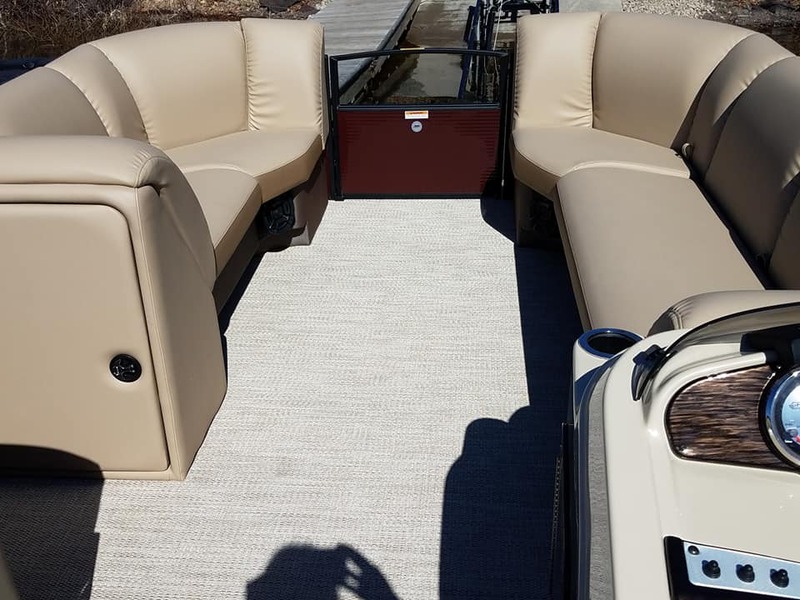 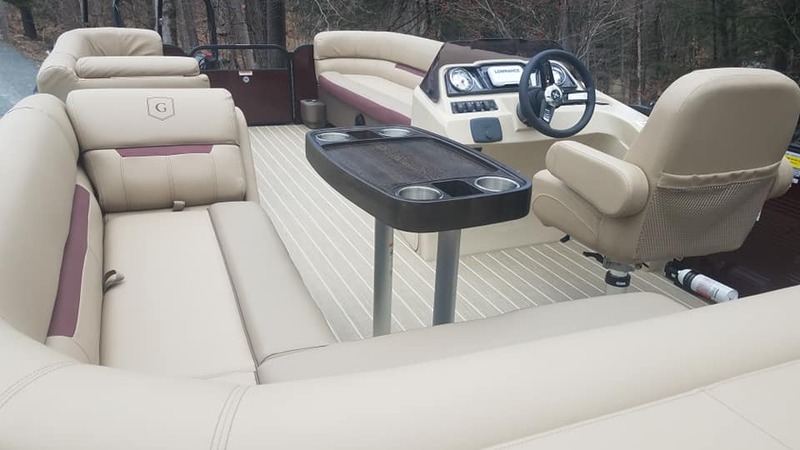 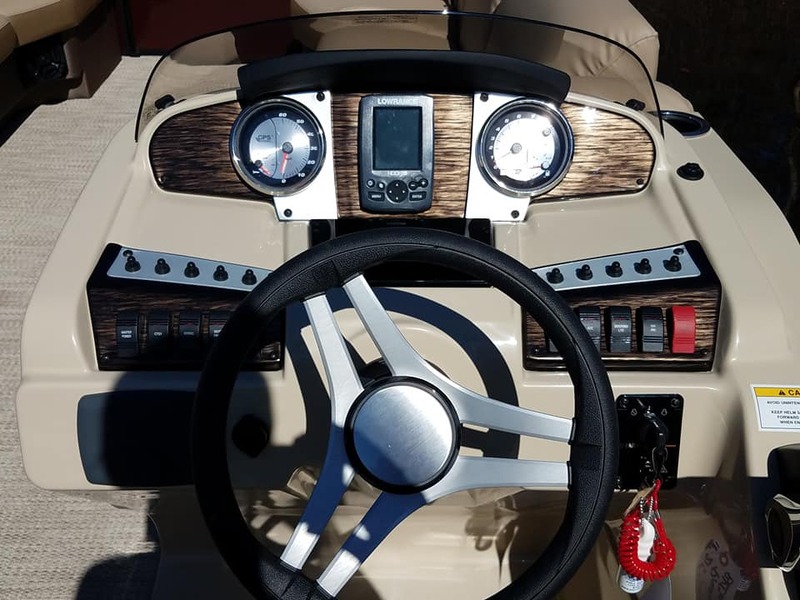 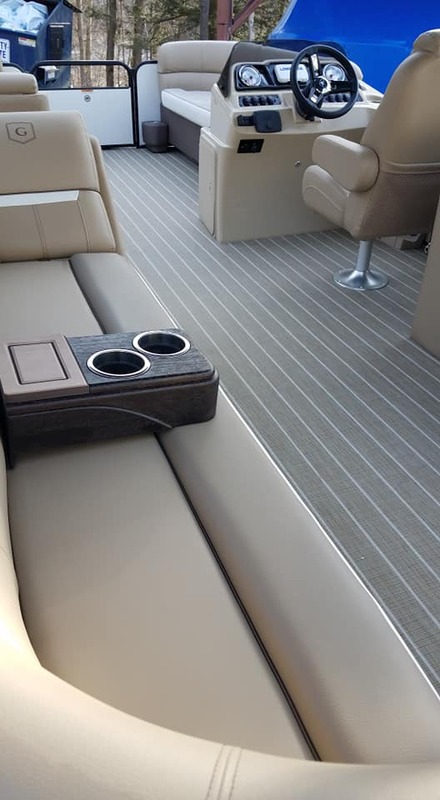 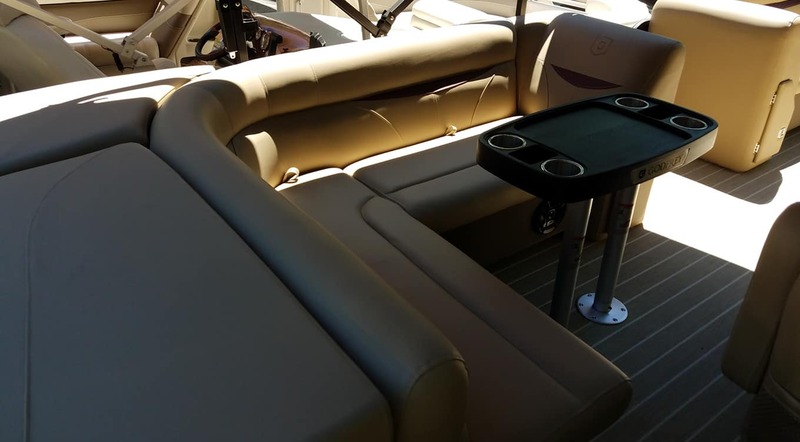 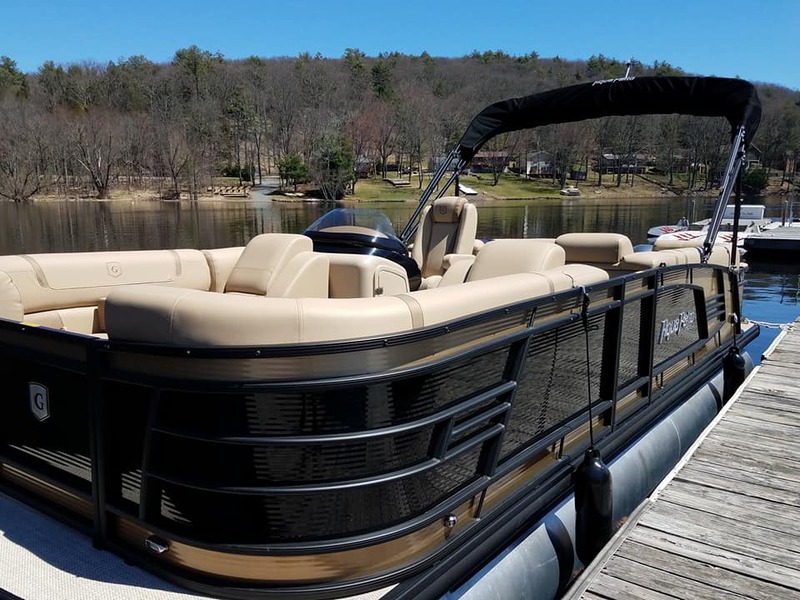 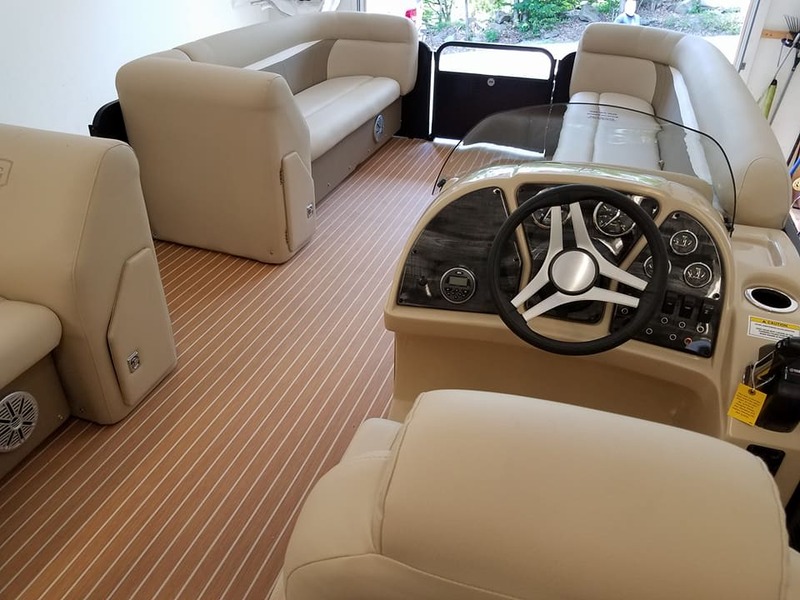 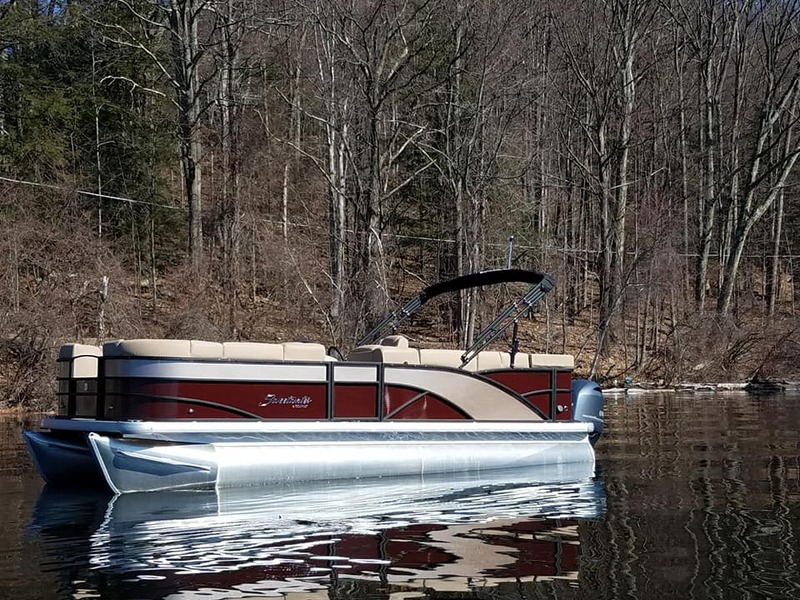 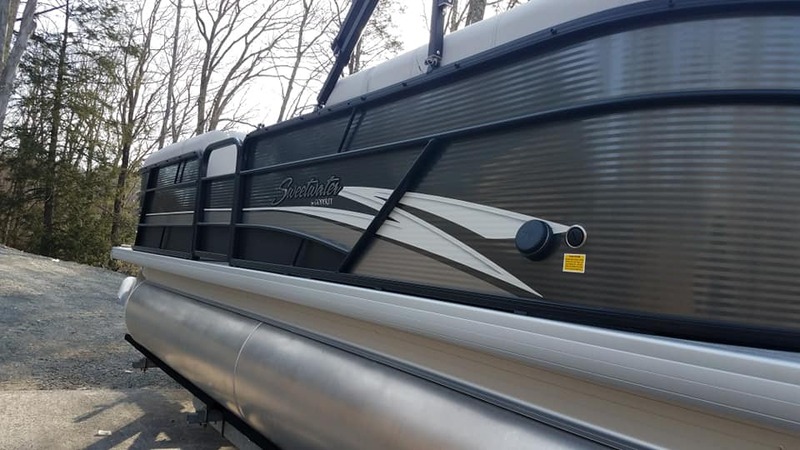 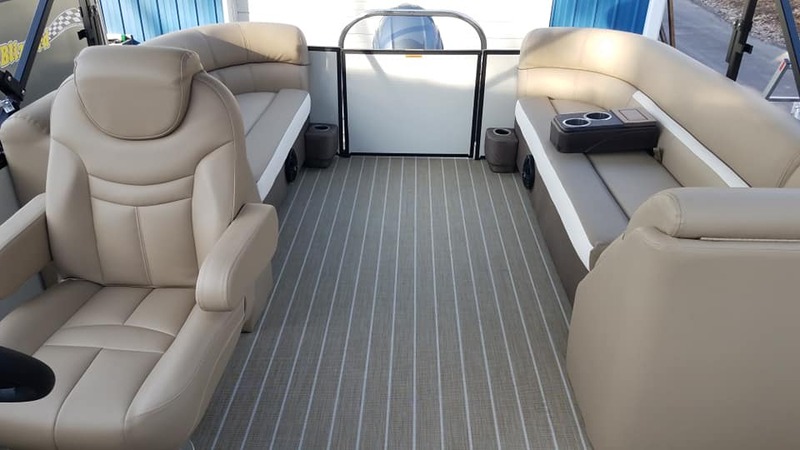 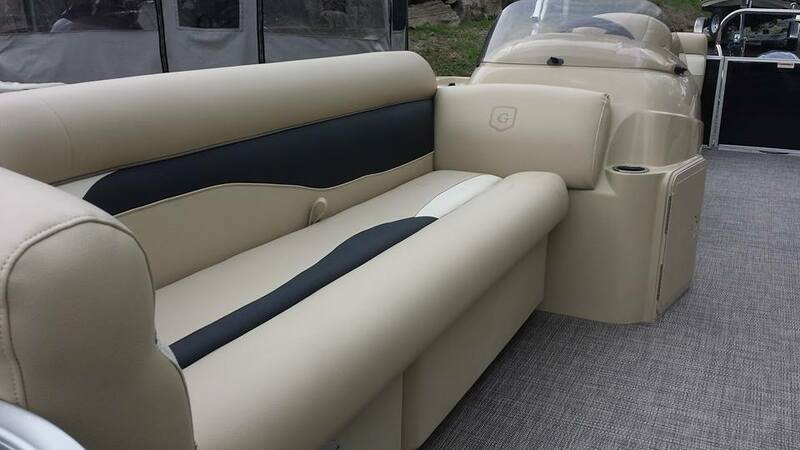 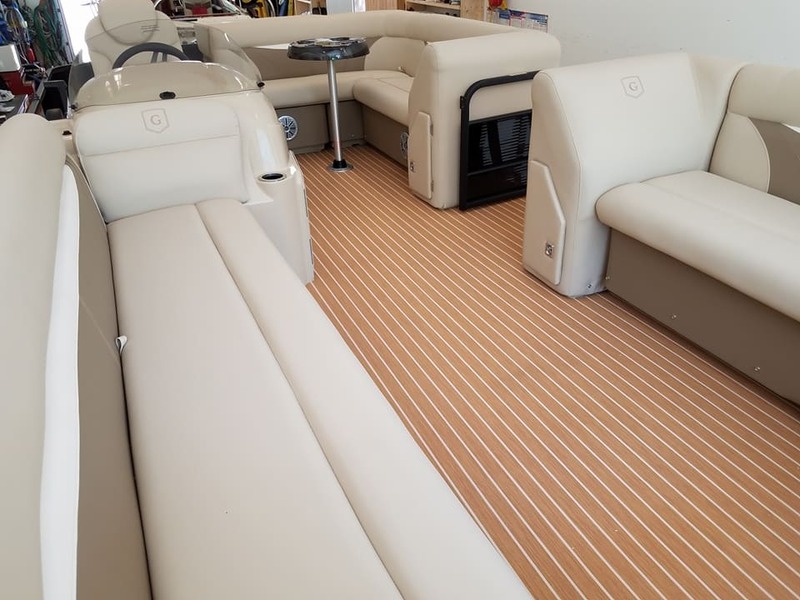 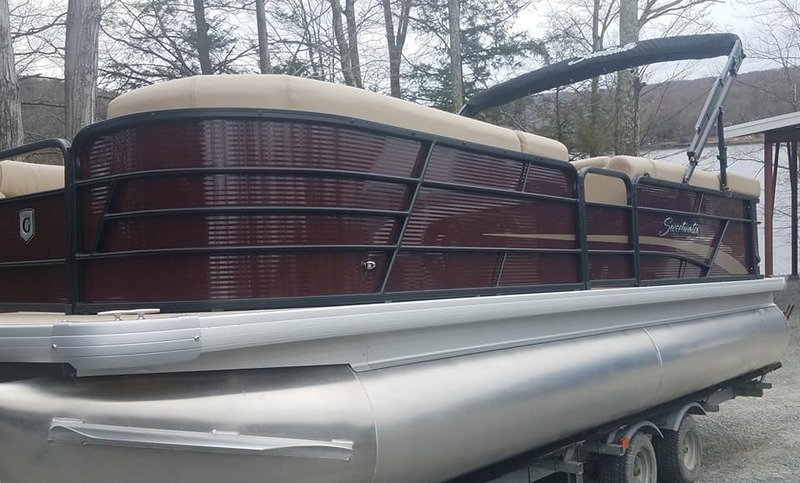 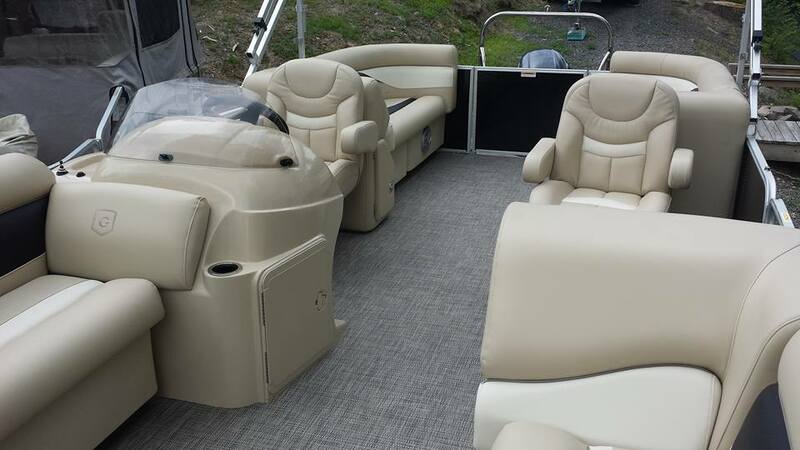 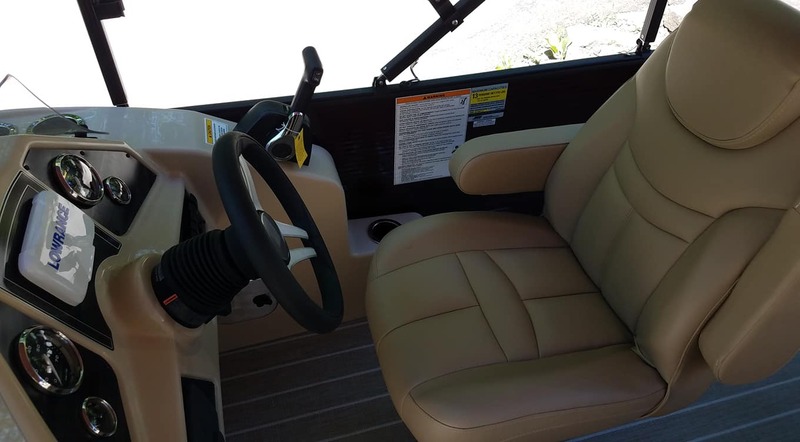 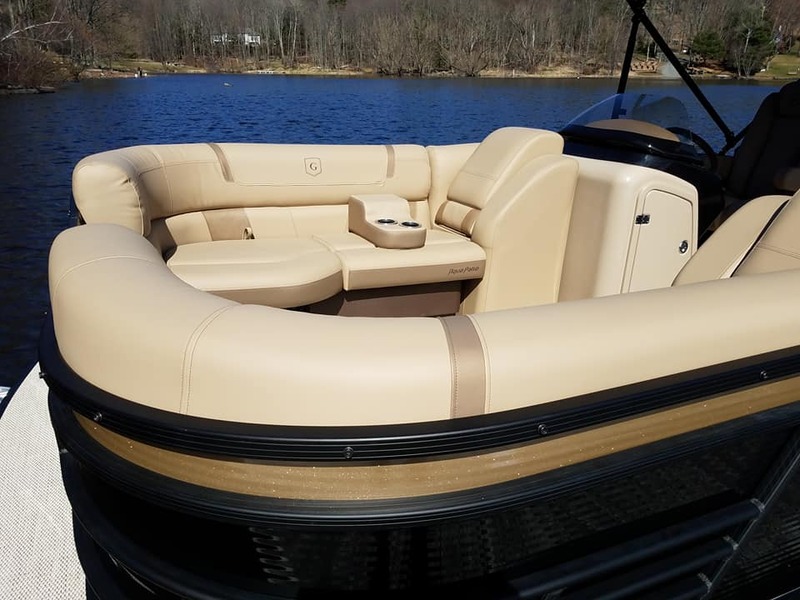 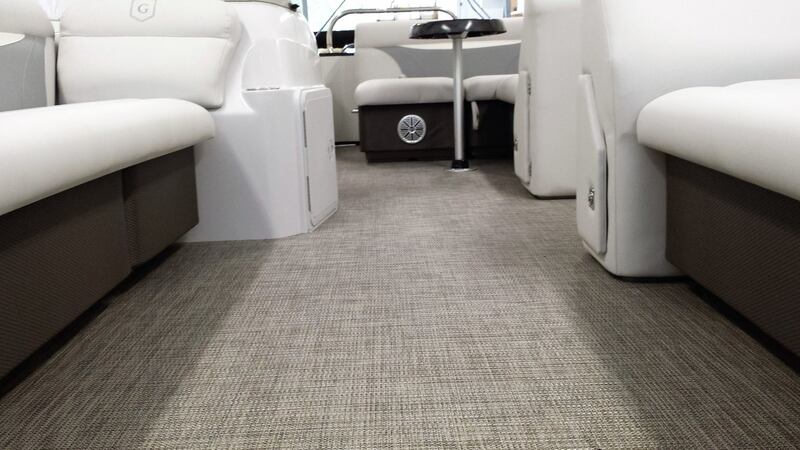 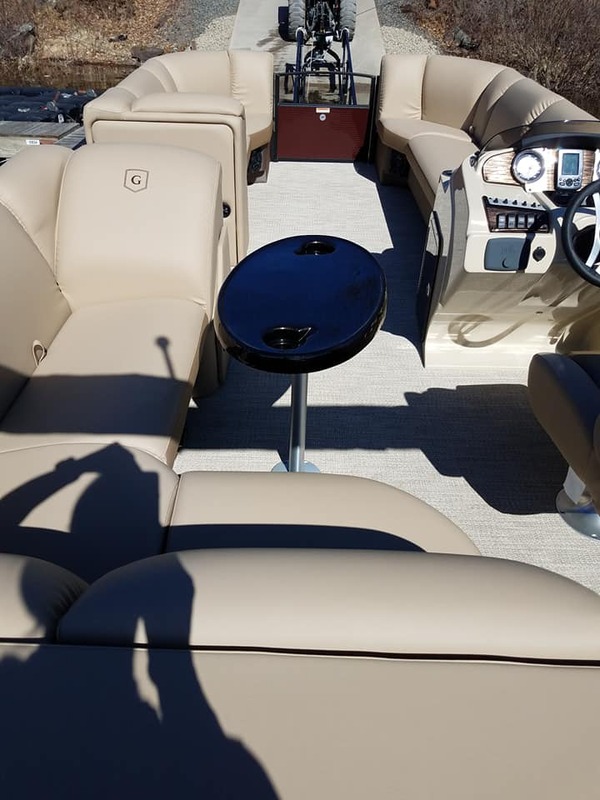 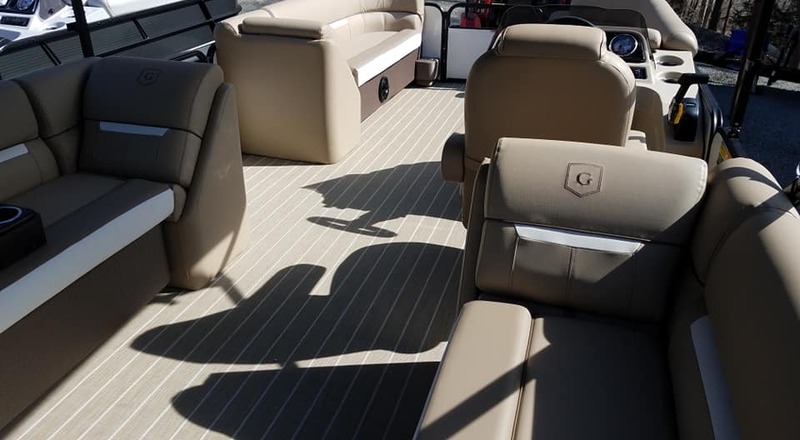 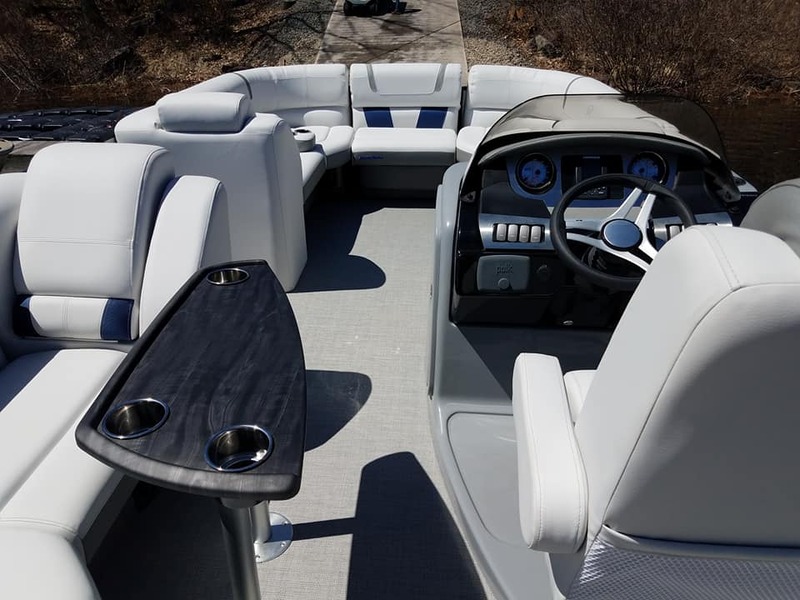 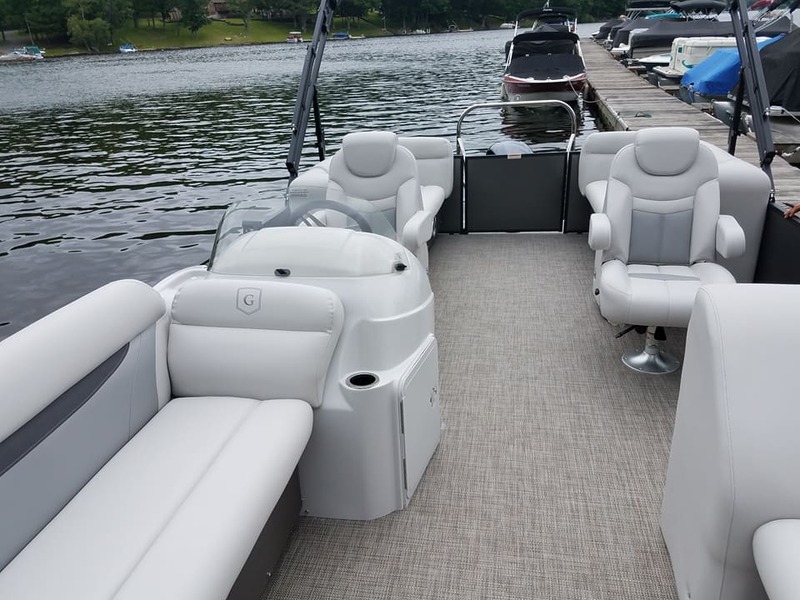 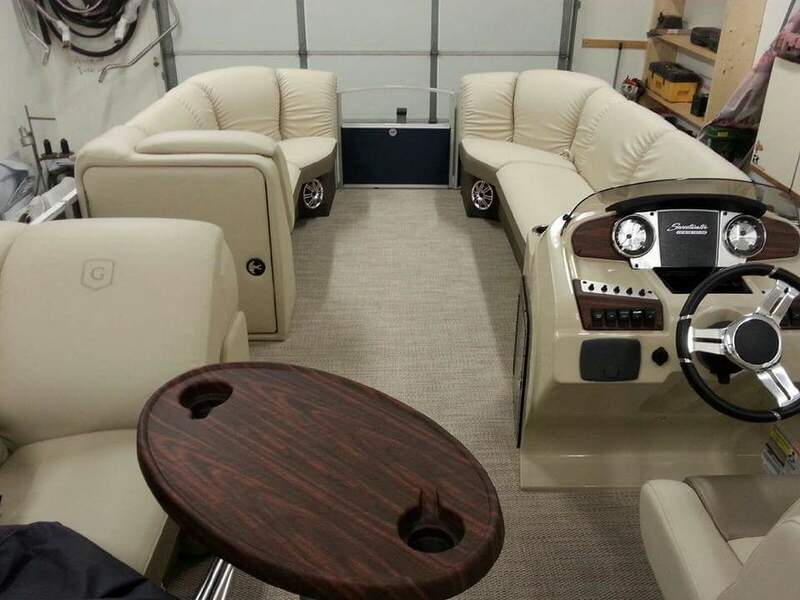 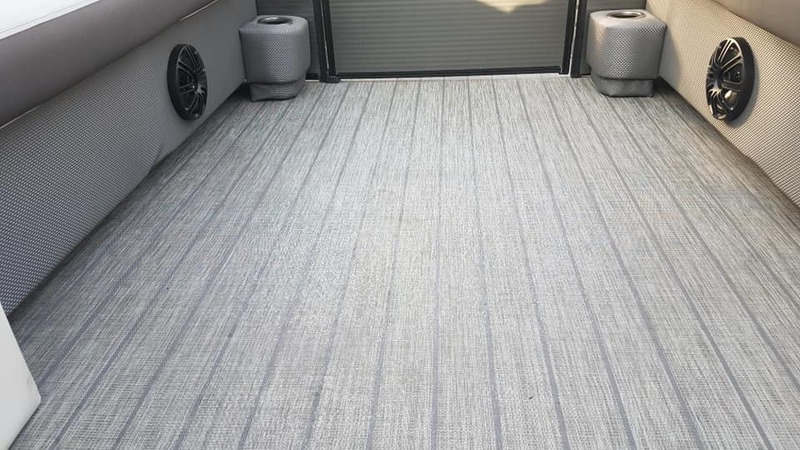 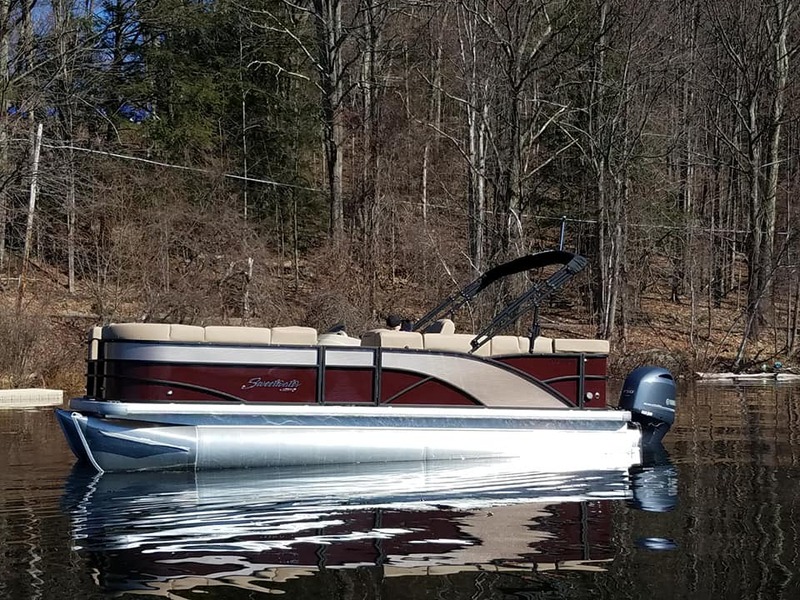 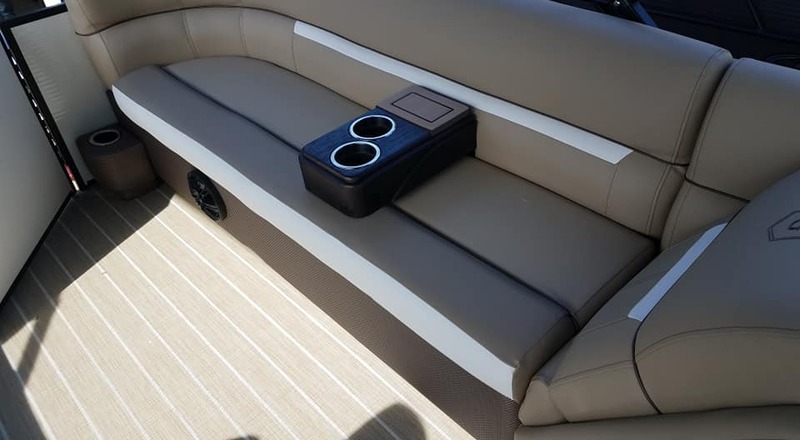 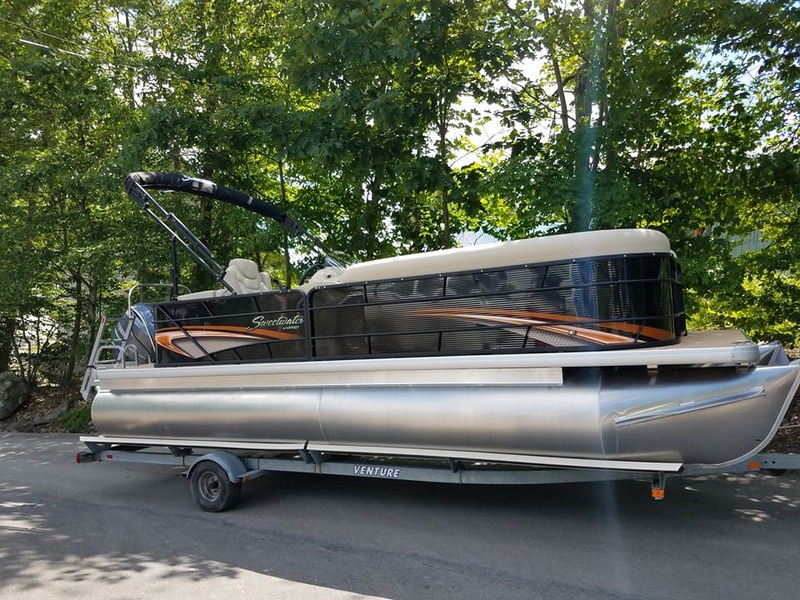 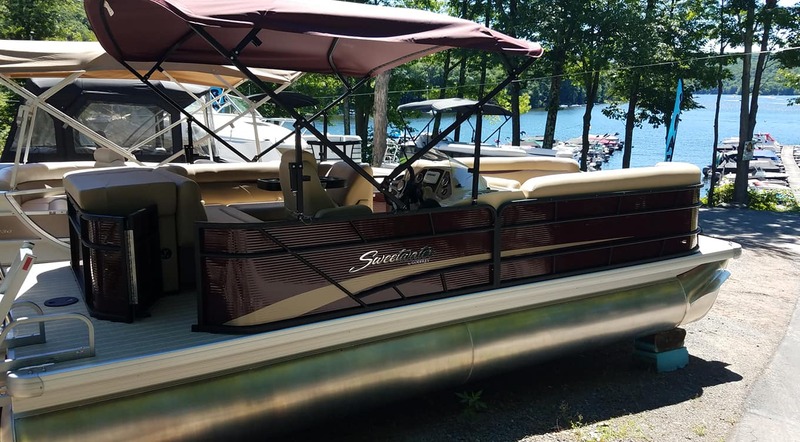 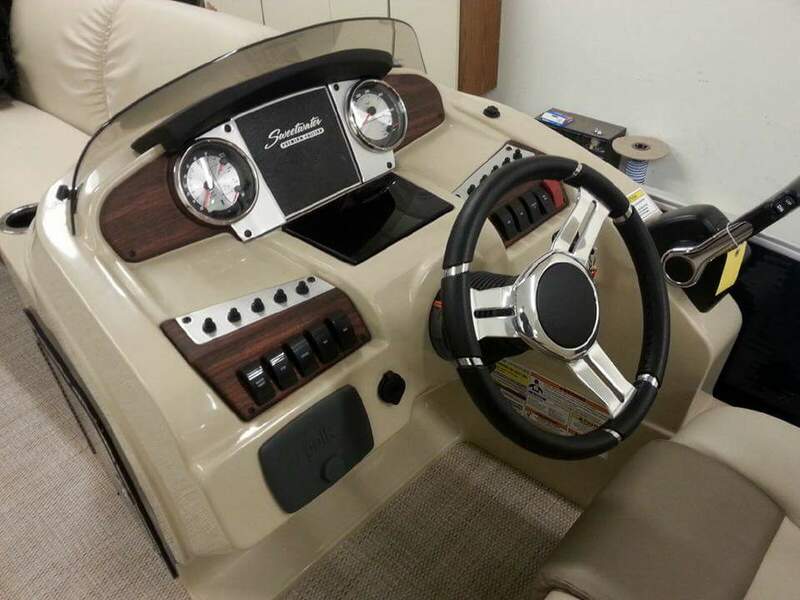 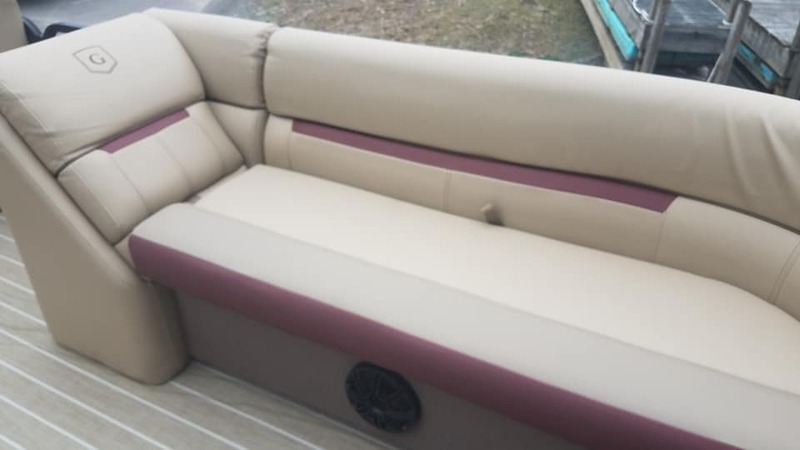 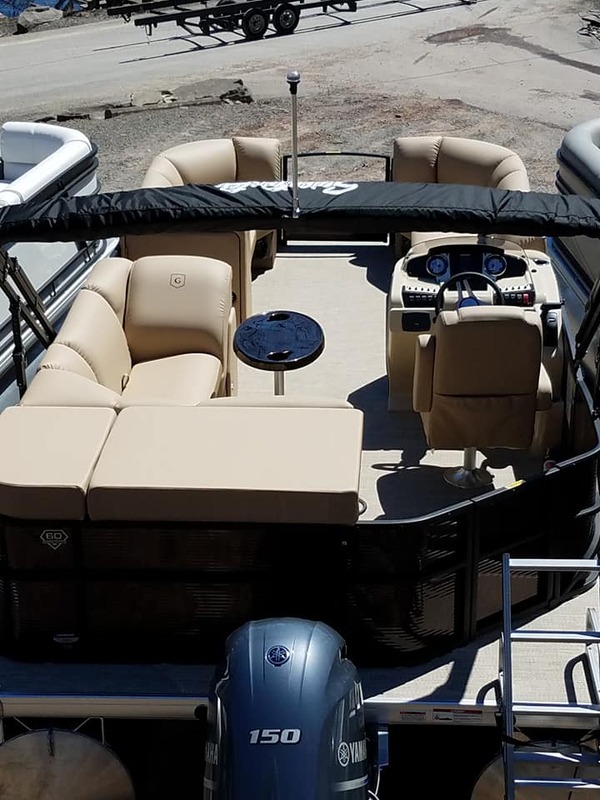 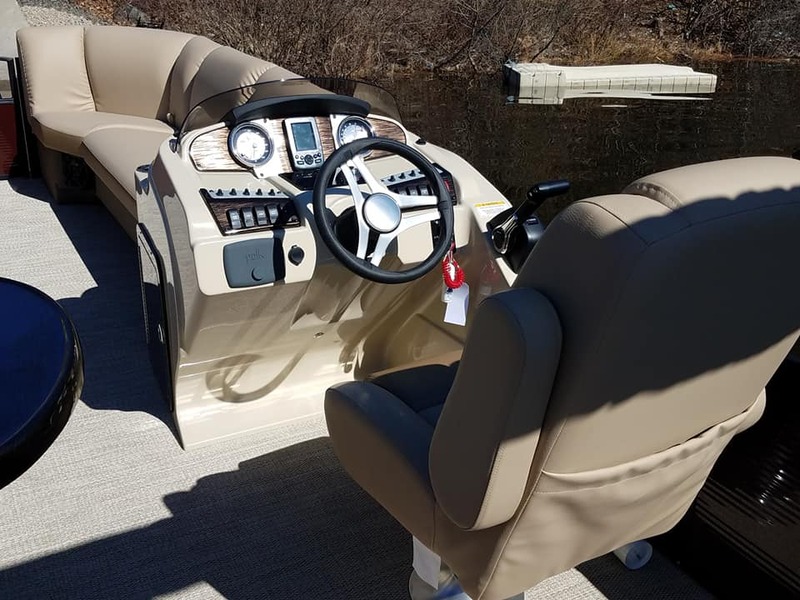 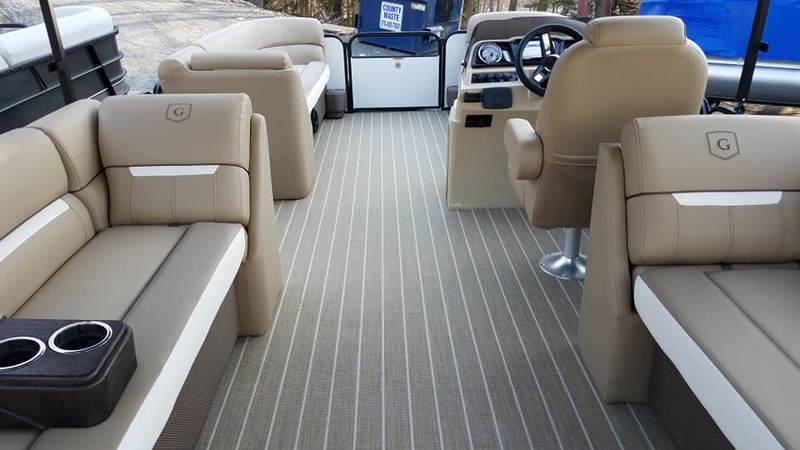 2019 SWEETWATER 2286 C, powered by YAMAHA 150….Black Cherry panels w/ black rails, tan interior w/black cherry accent and wicker wrapped seat boxes, Harbor tan seagrass floor. 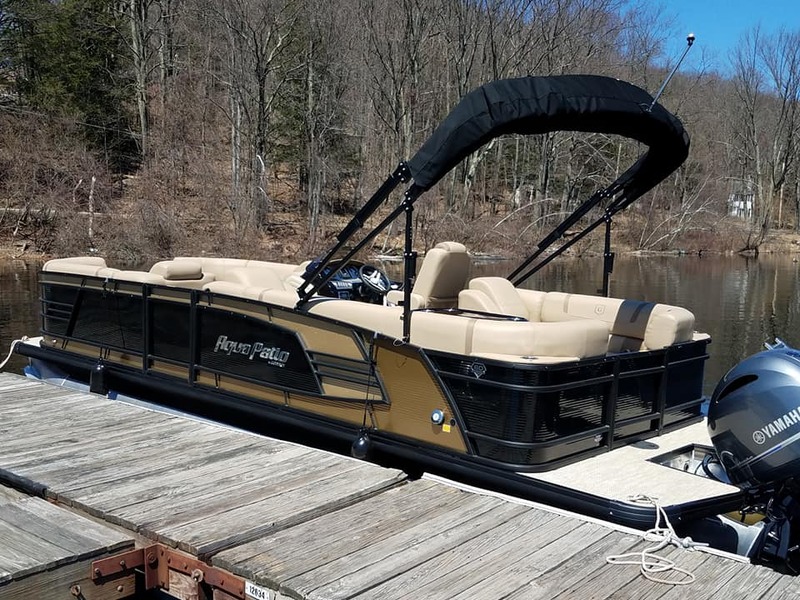 TRIPLE TUBE package w/ hydraulic steering and lifting strakes. 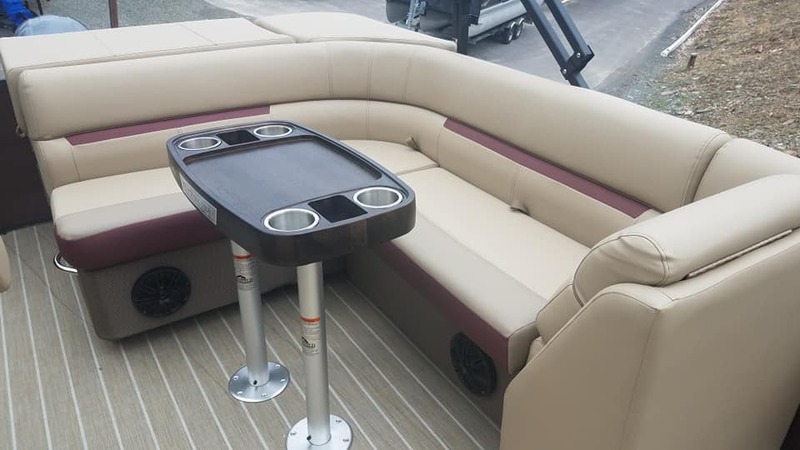 Helm storage station w/ USB port, depth & fish finder, POLK BT stereo. 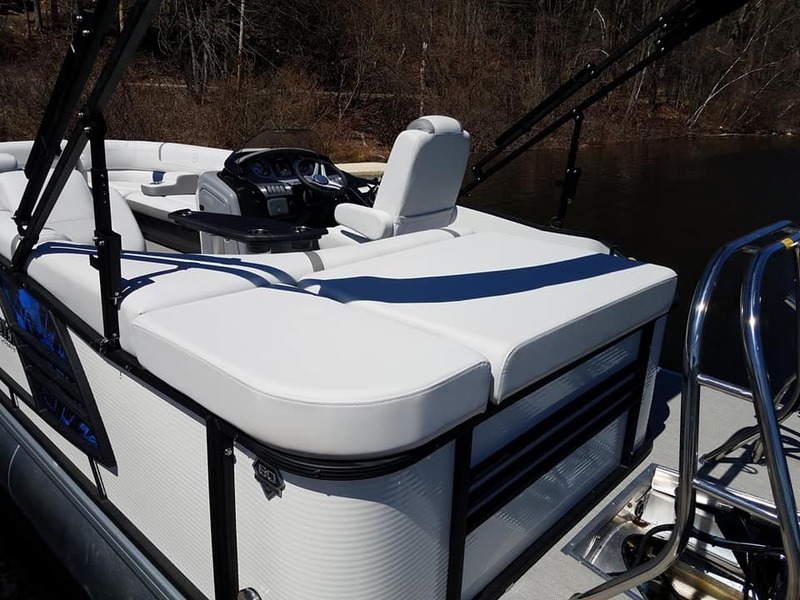 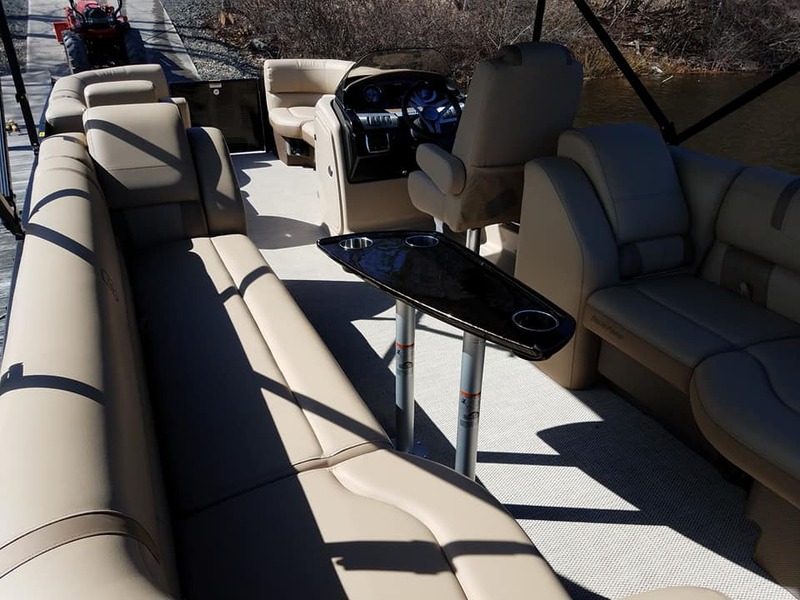 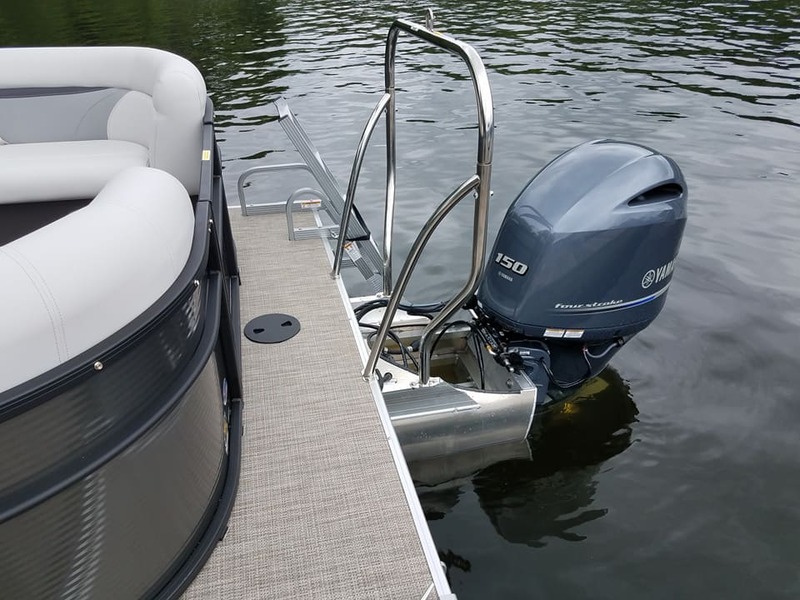 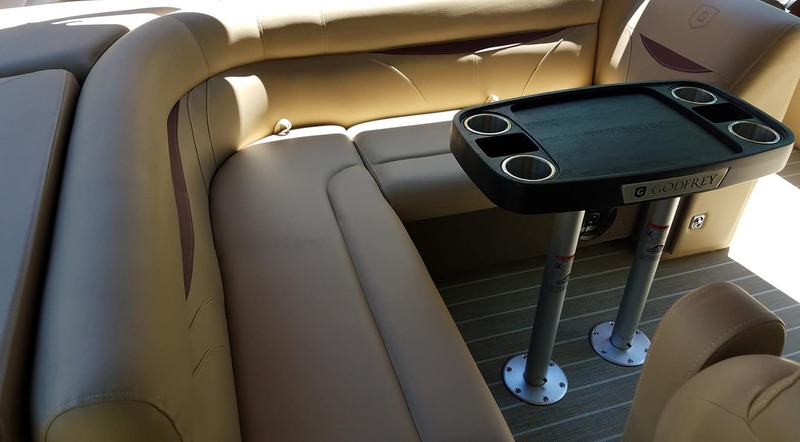 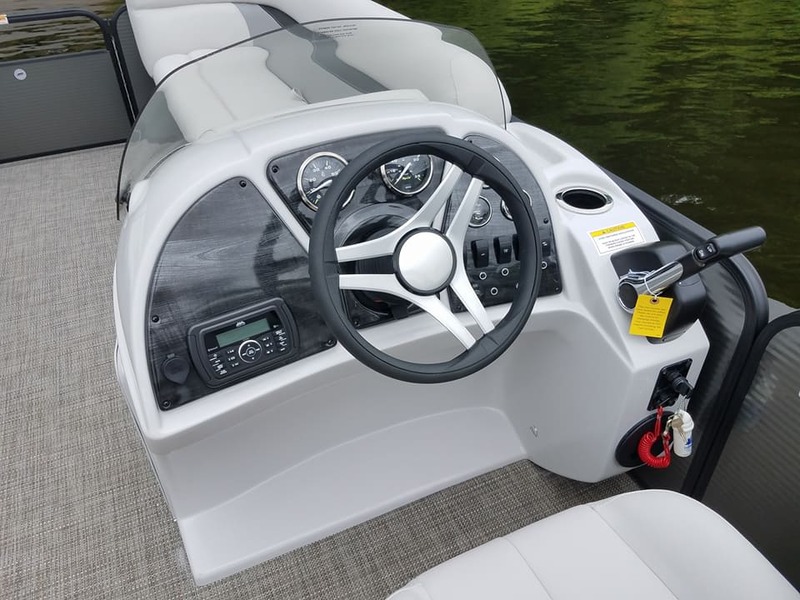 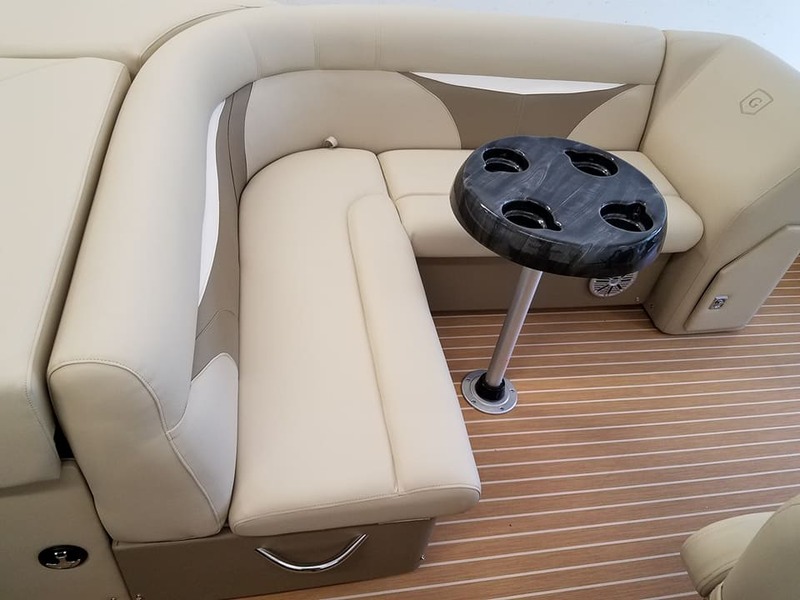 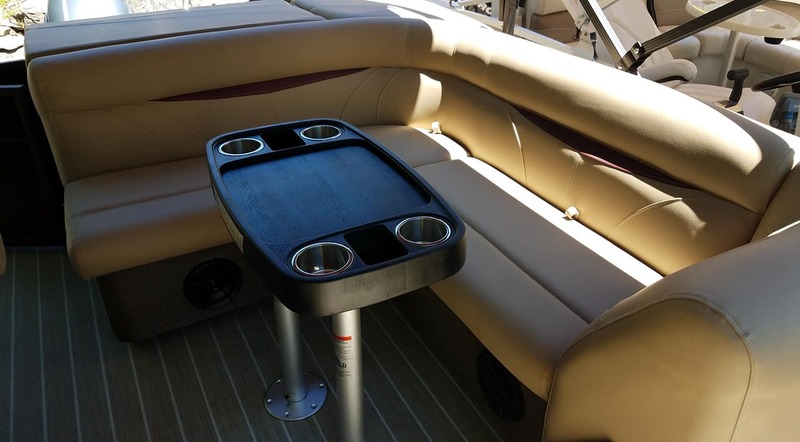 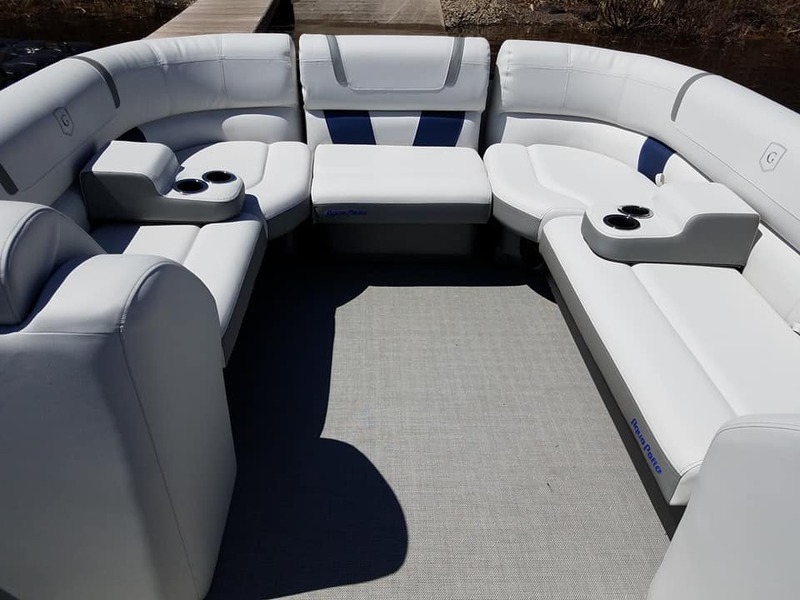 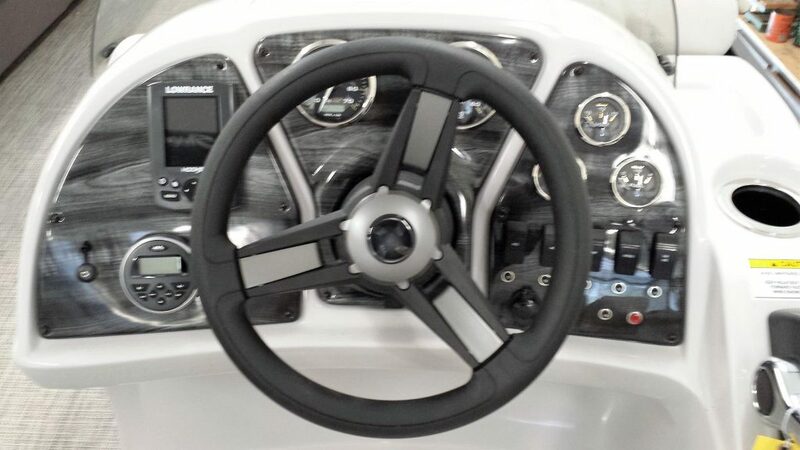 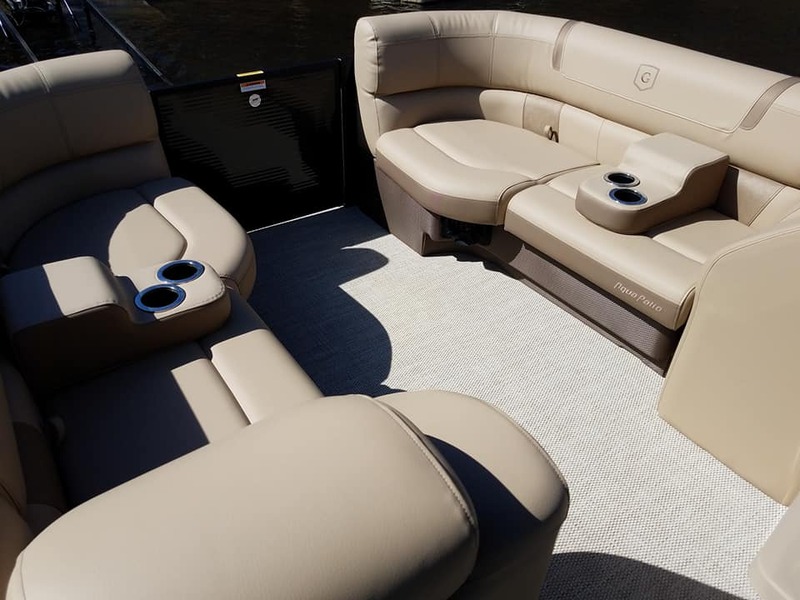 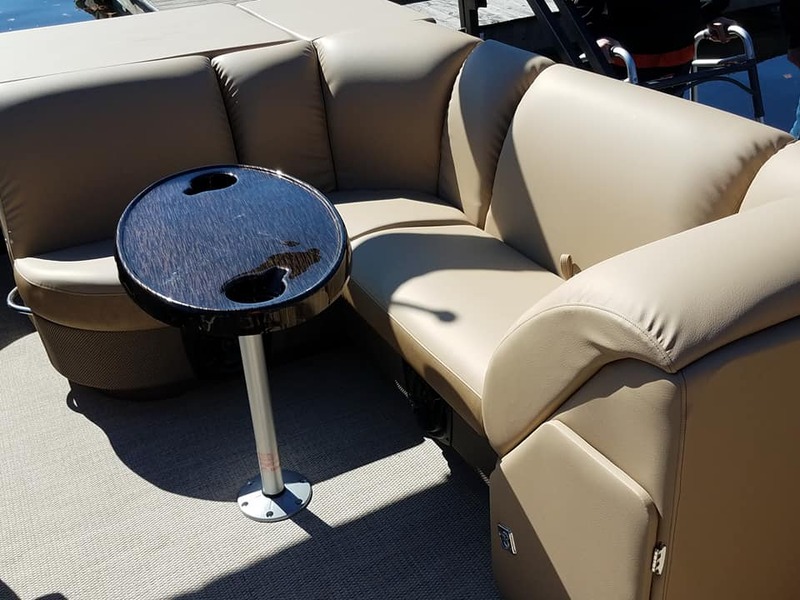 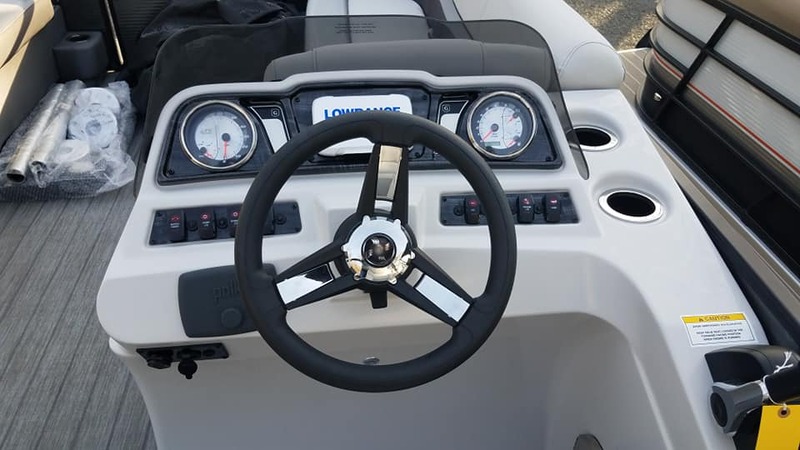 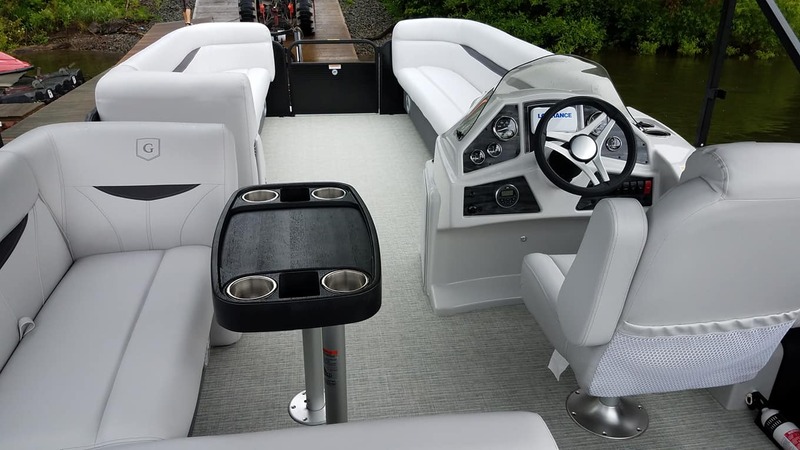 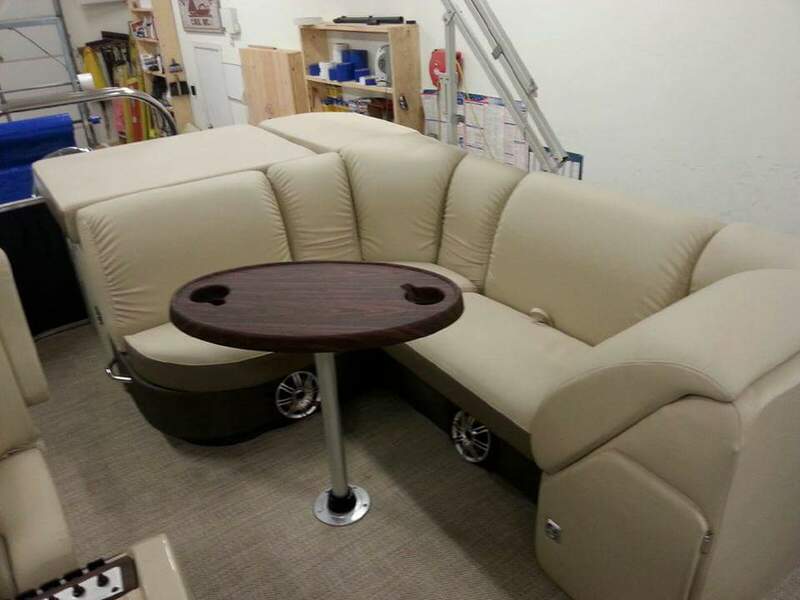 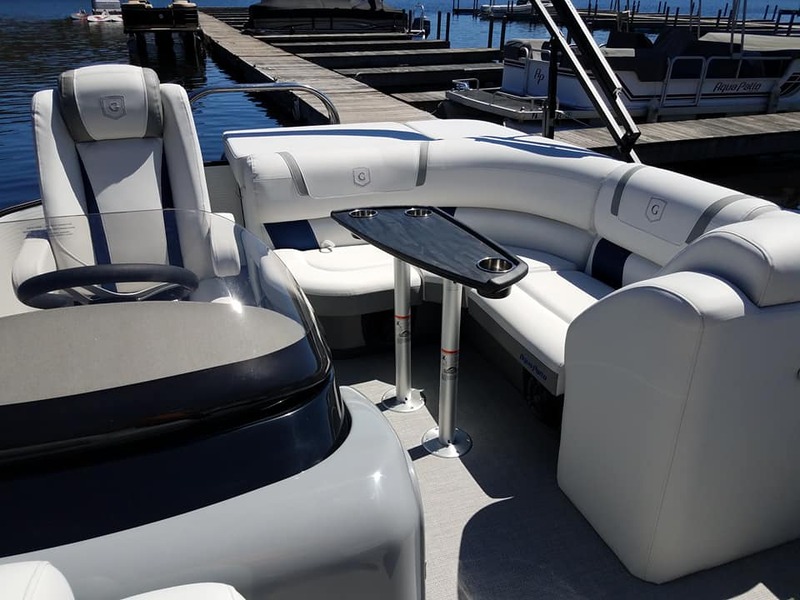 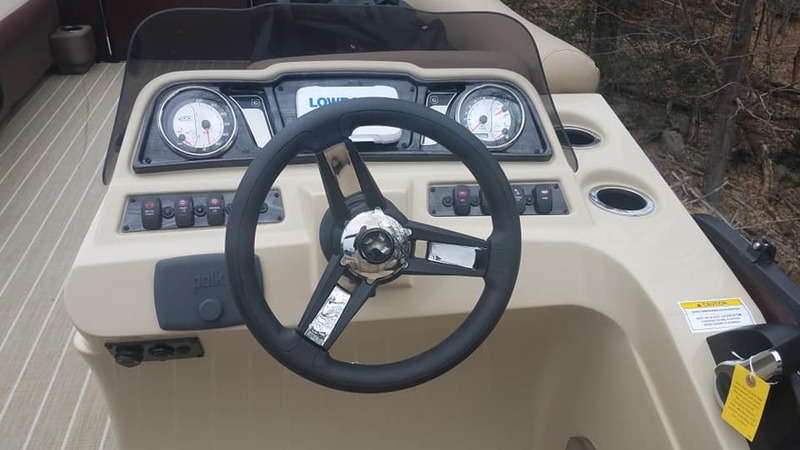 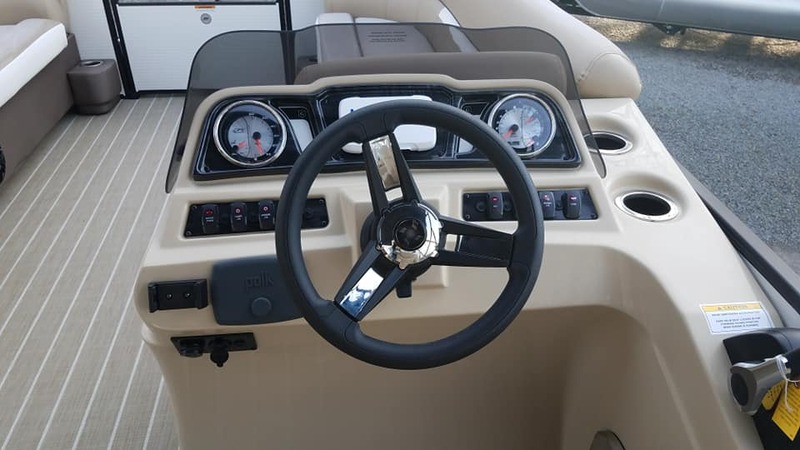 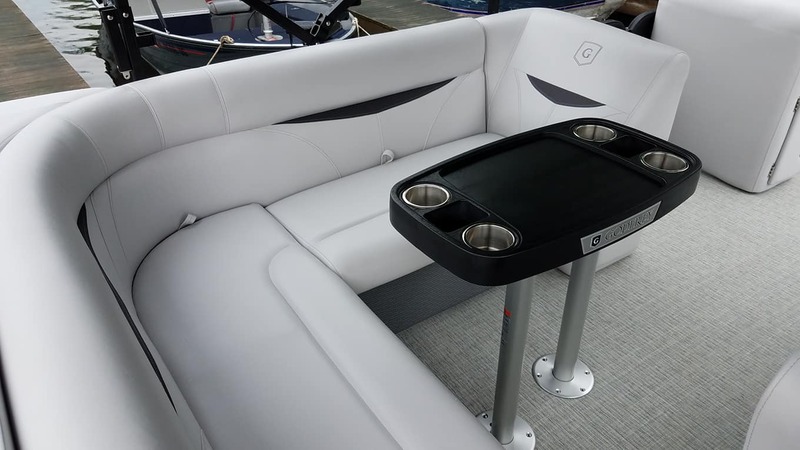 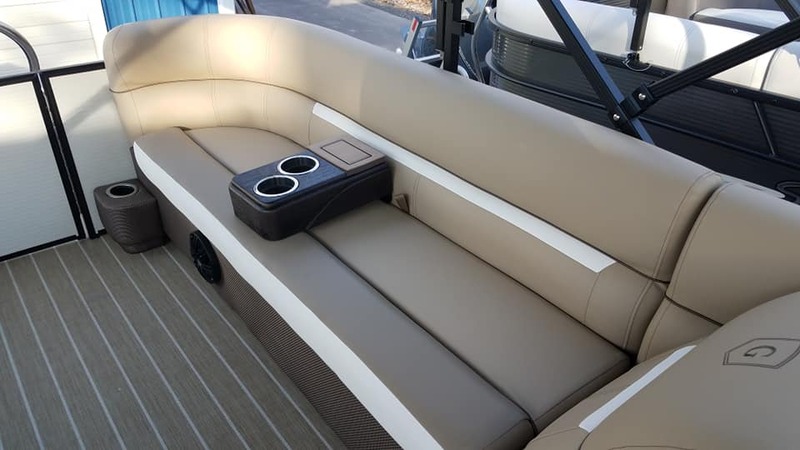 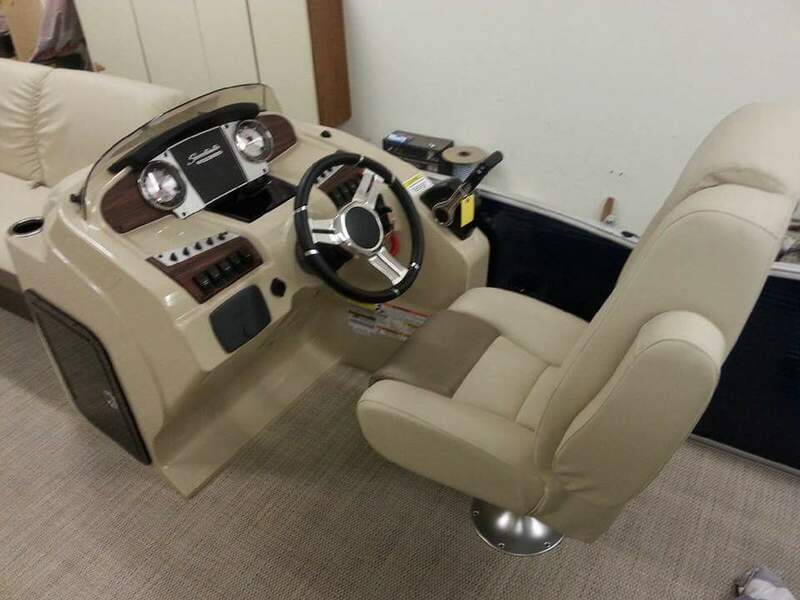 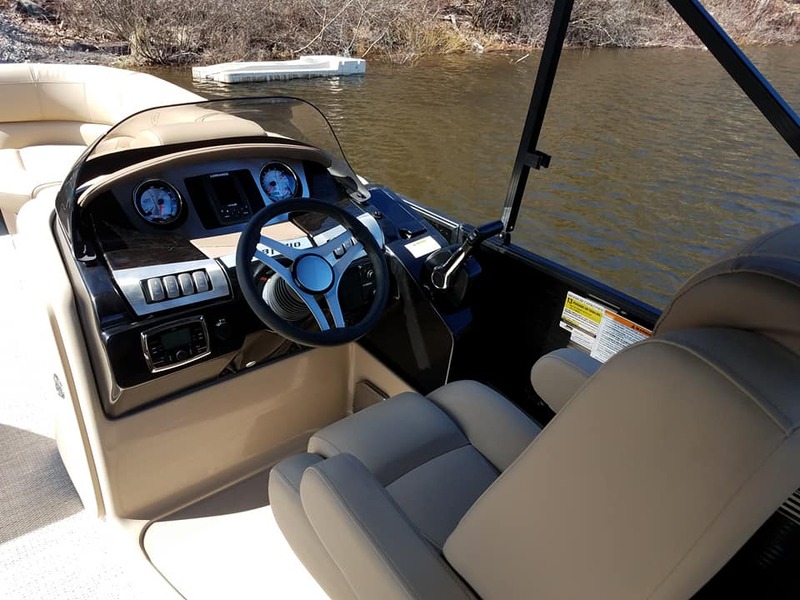 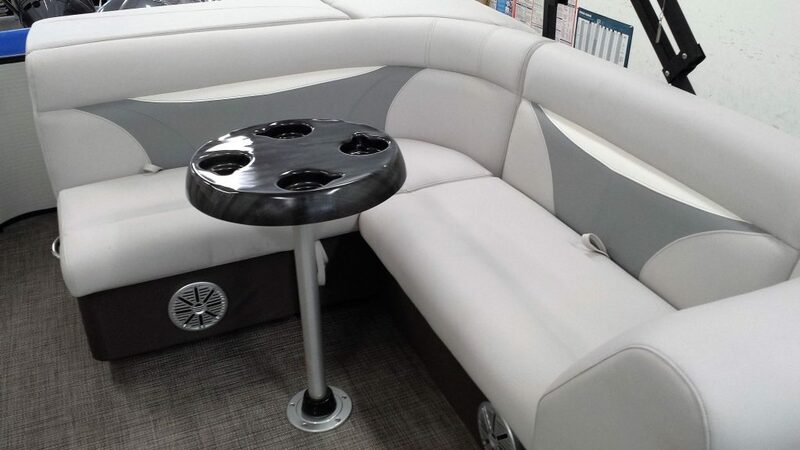 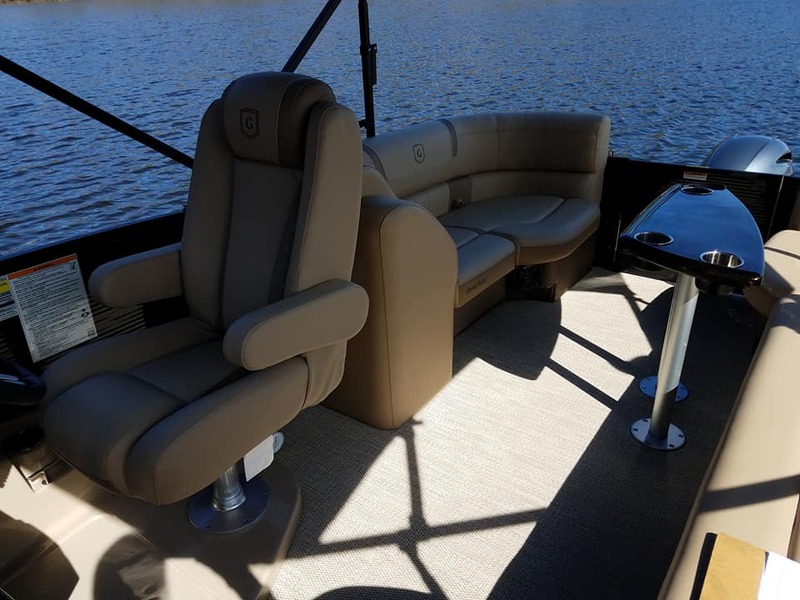 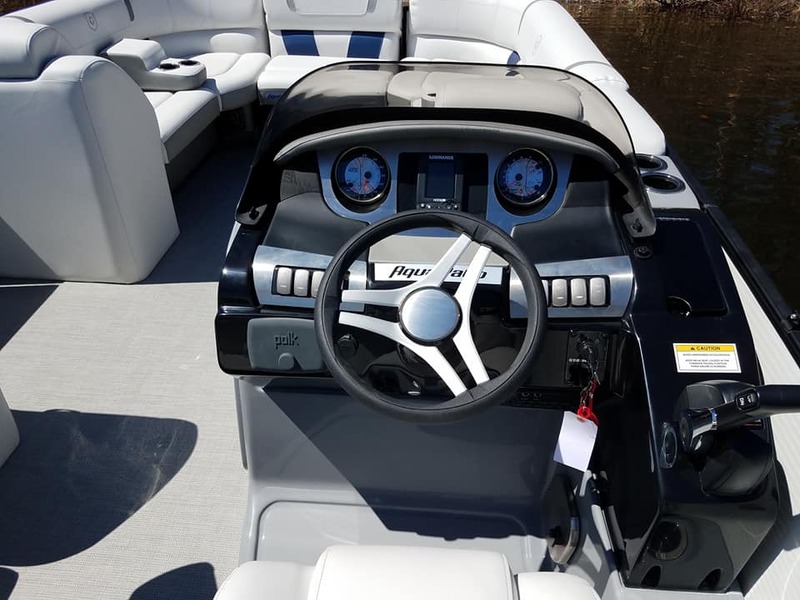 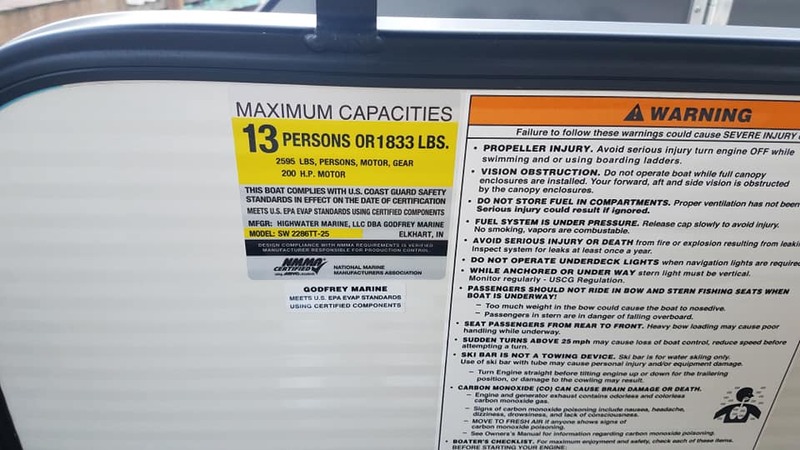 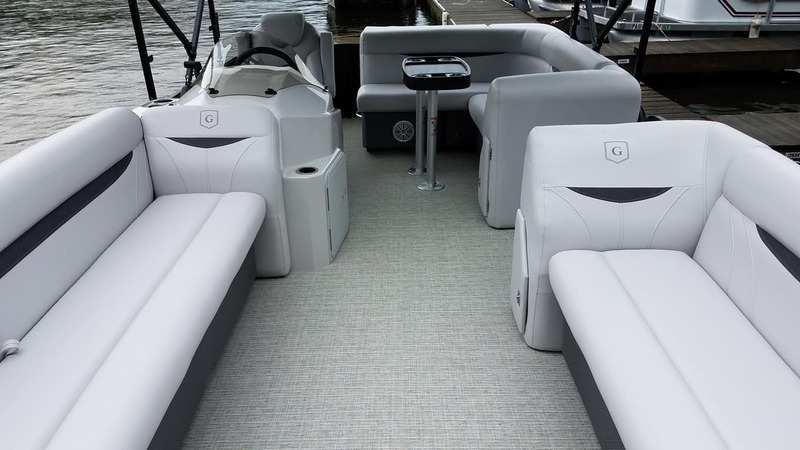 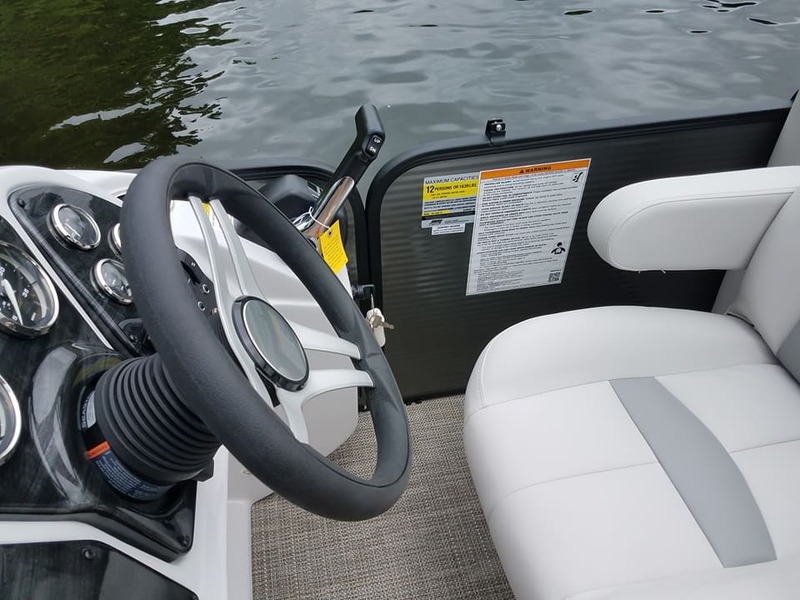 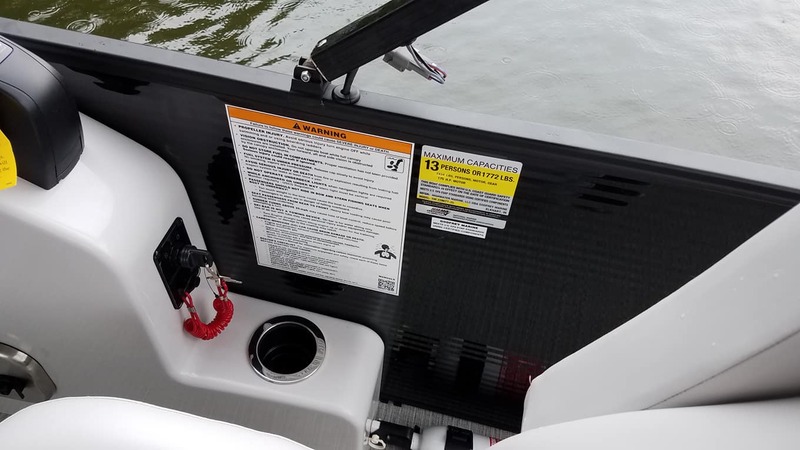 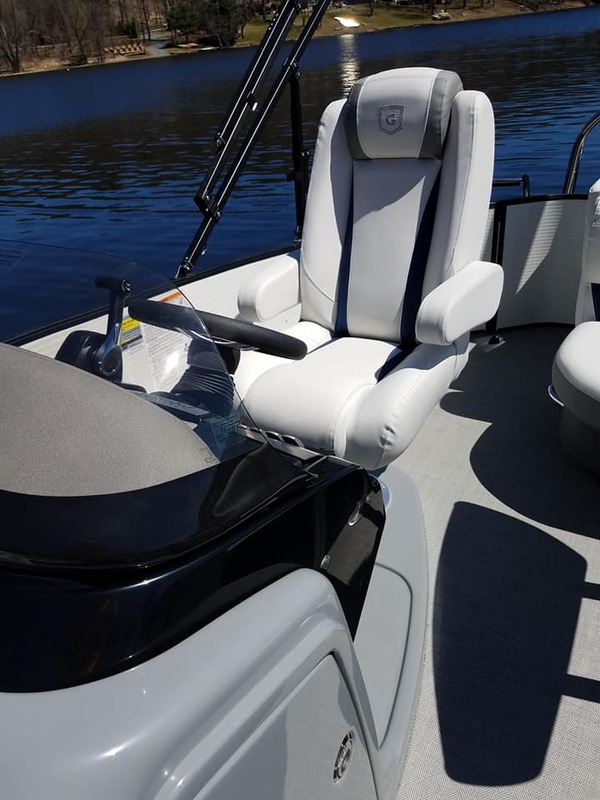 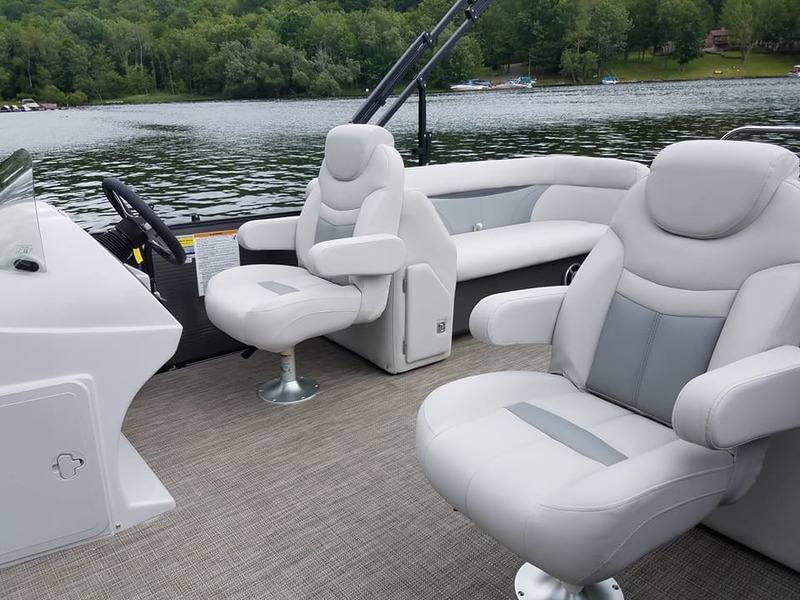 2019 SWEETWATER 2286 SB w/ captains & mates chair,powered by YAMAHA 150. 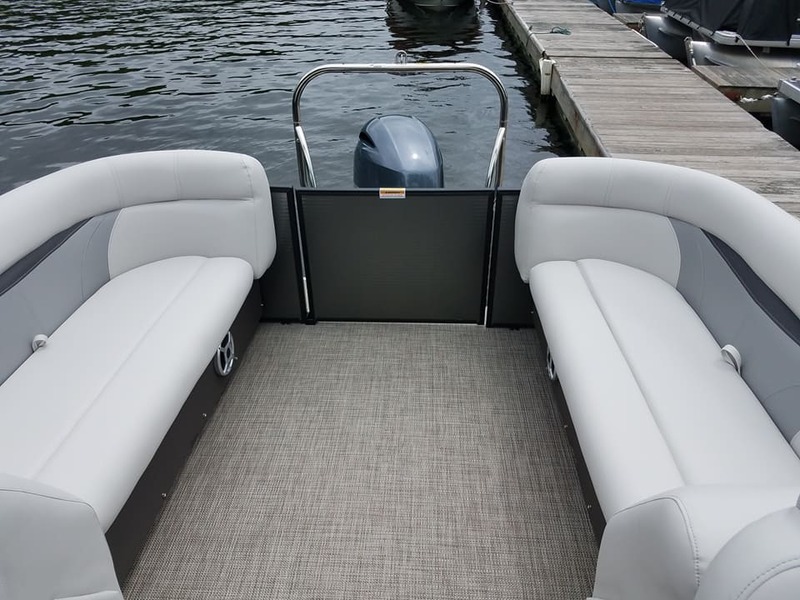 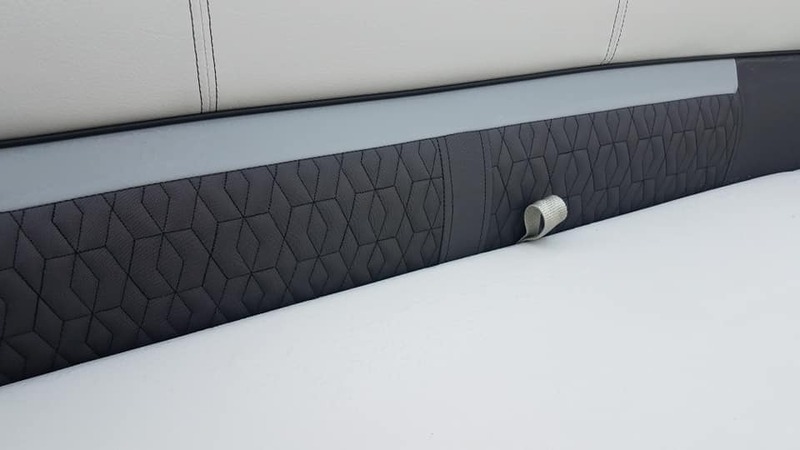 Charcoal panels w/ black rails, Luxe Slate Interior w/ wicker wrapped seat boxes, Harbor Grey seagrass floor, TRIPLE TUBE PACKAGE w/ lifting strakes and hydraulic steering. 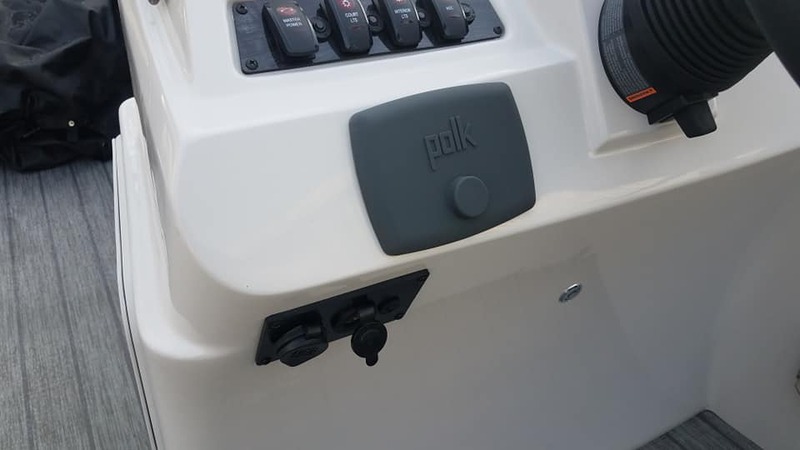 Helm storage station w/ USB port, Depth and Fish finder, POLK BT stereo. 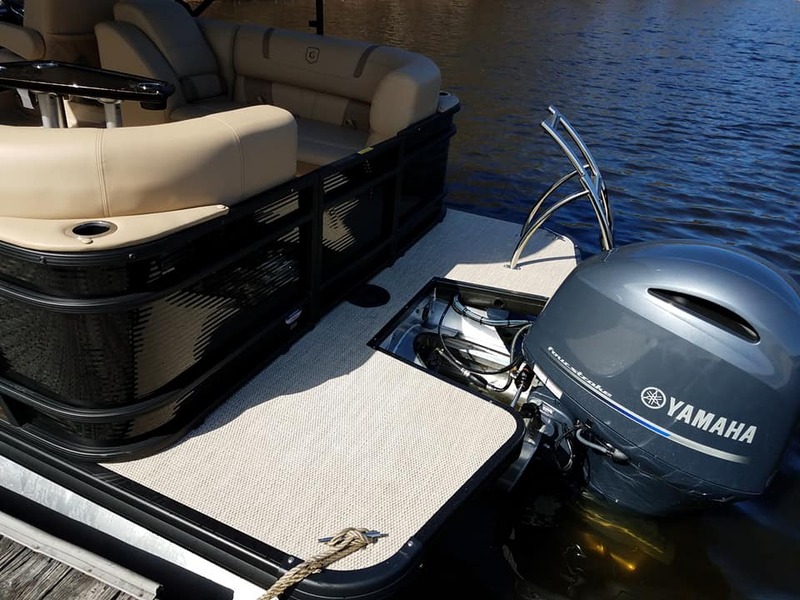 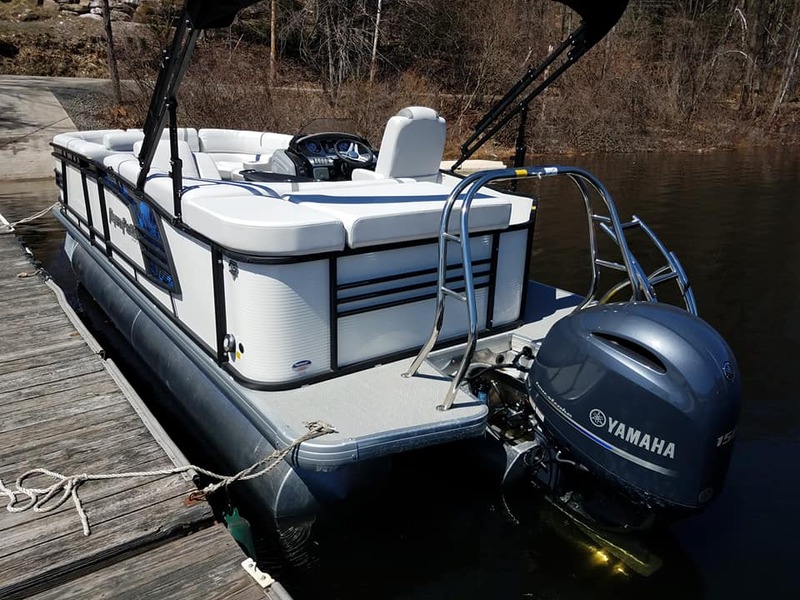 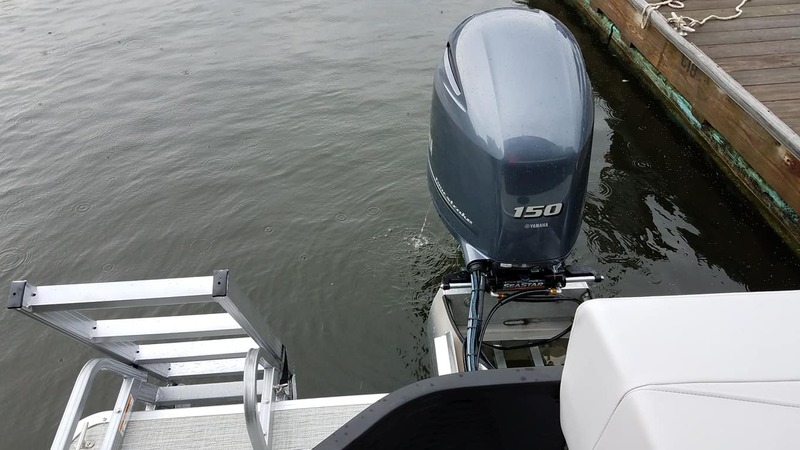 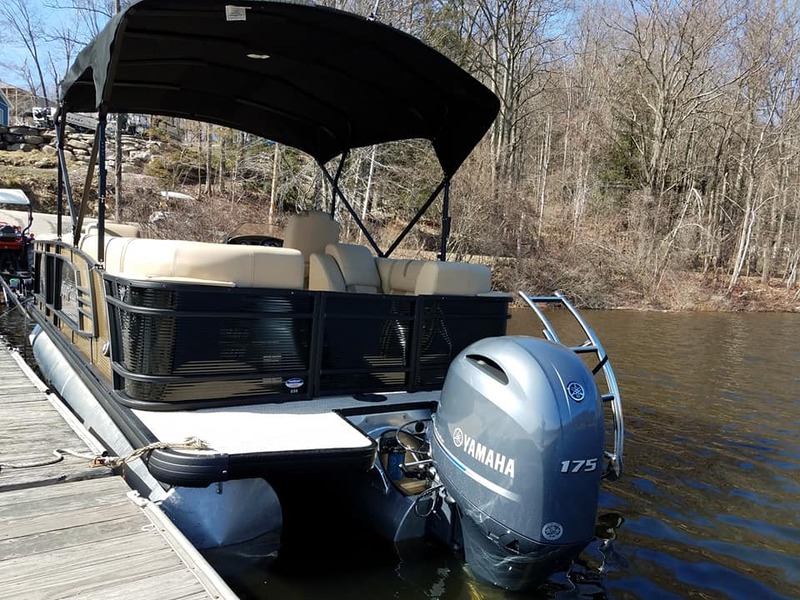 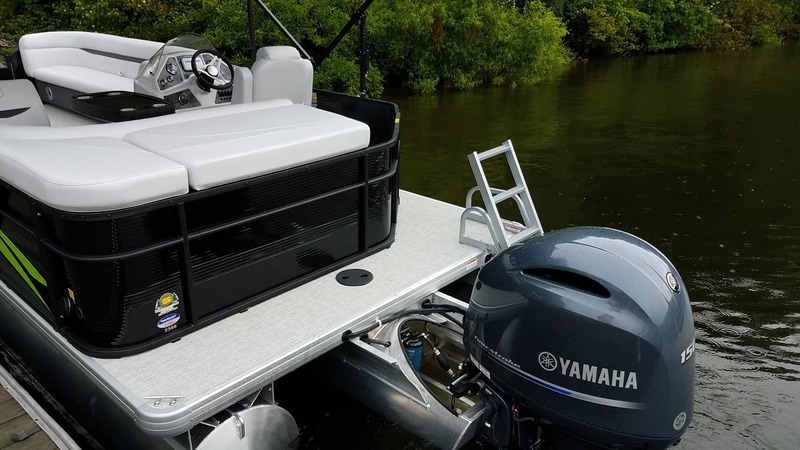 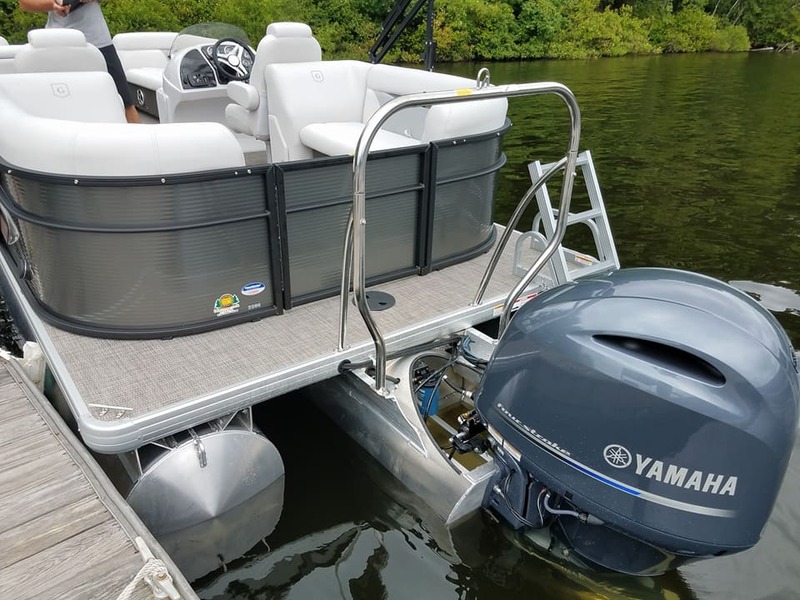 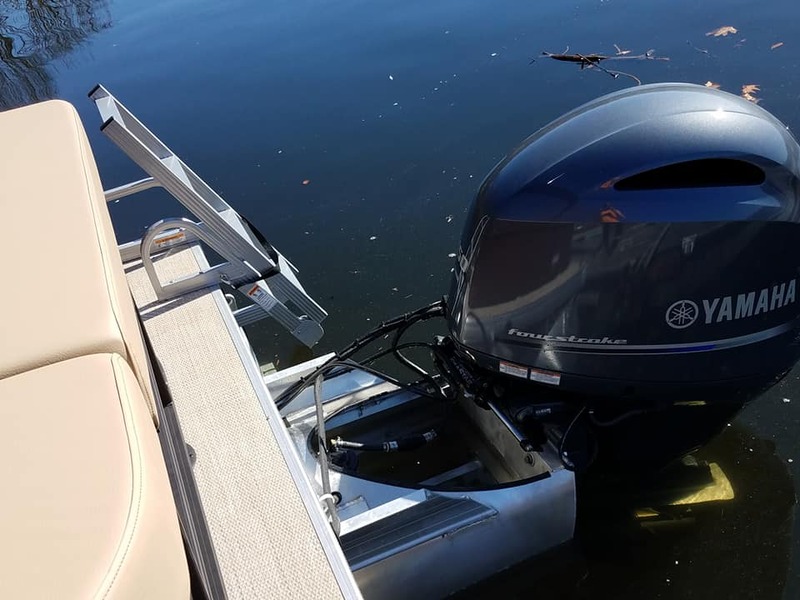 2019 SWEETWATER 2286 SB, powered by YAMAHA 150. 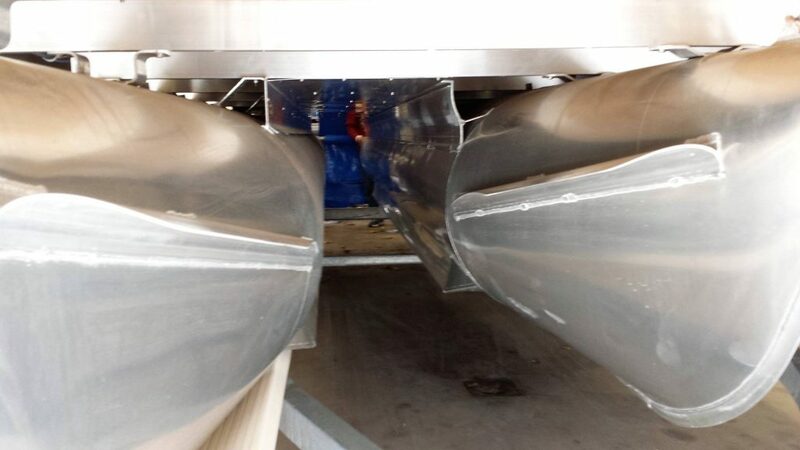 TRIPLE TUBE PACKAGE w/ lifting strakes and hydraulic steering. 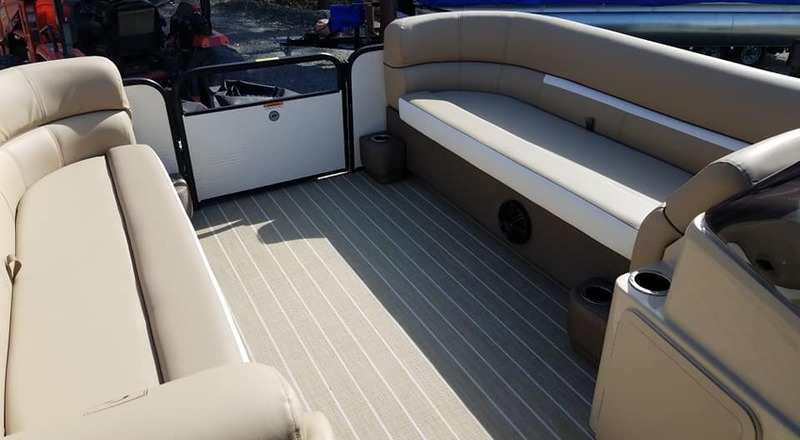 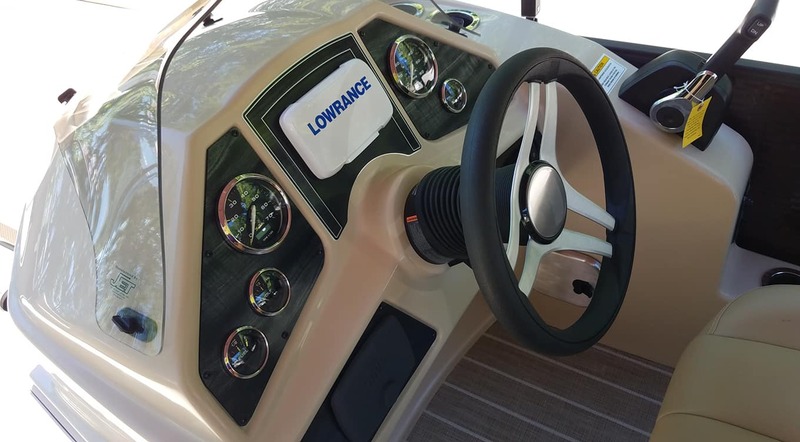 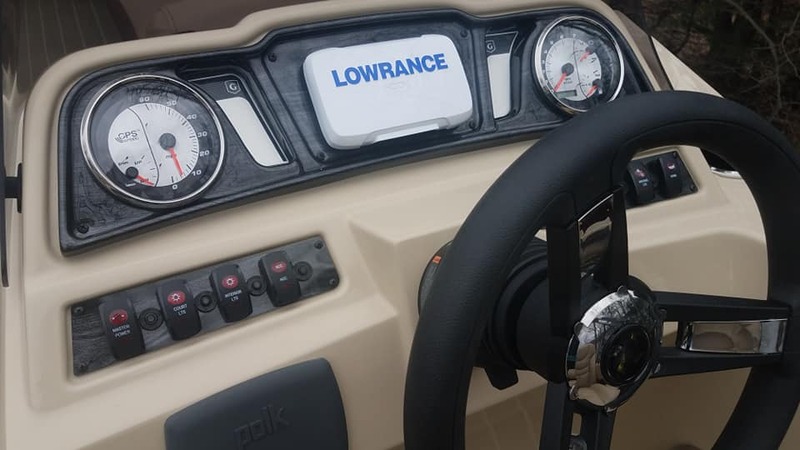 Metallic White panels w/ Black rails, Sunset orange graphic package, Select Tan Interior w/ white accent, Harbor Tan seagrass floor, Helm station w/USB port, Depth & Fish finder, POLK BT stereo. 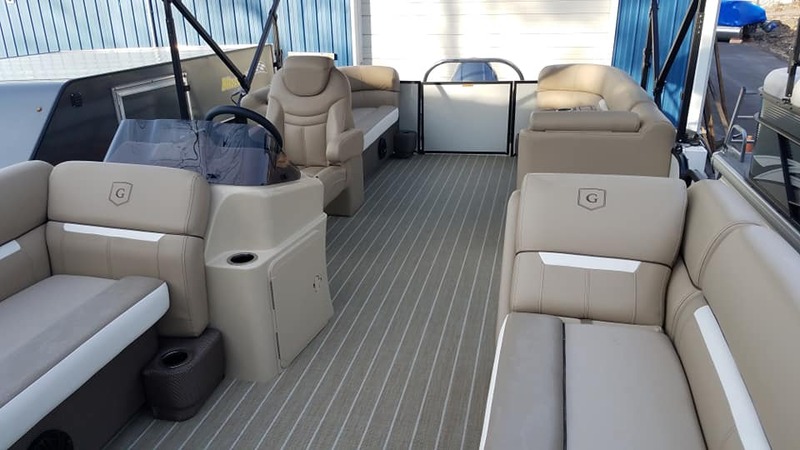 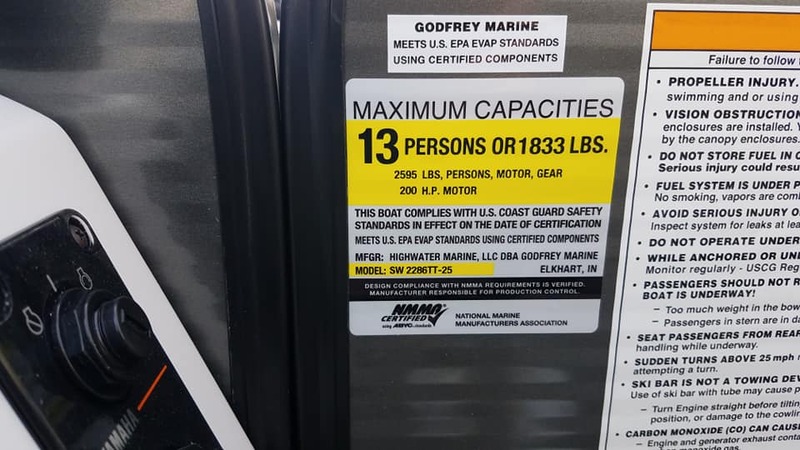 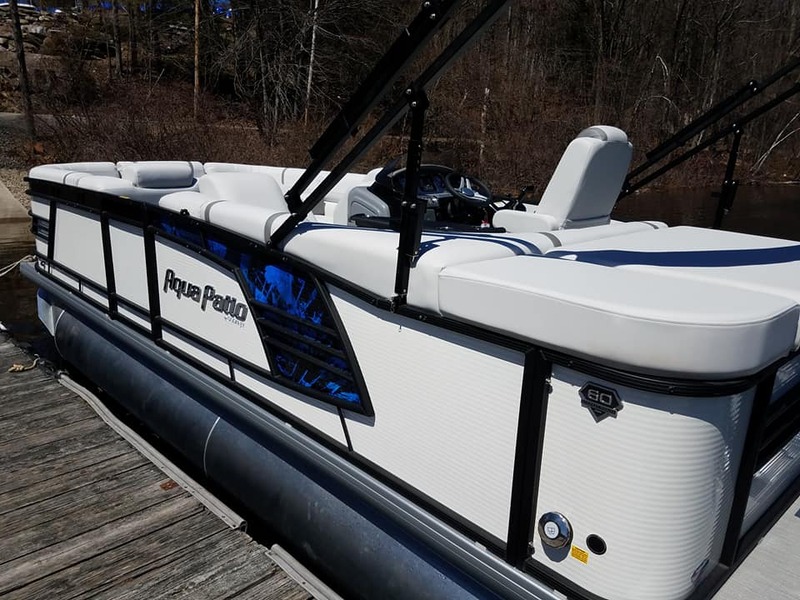 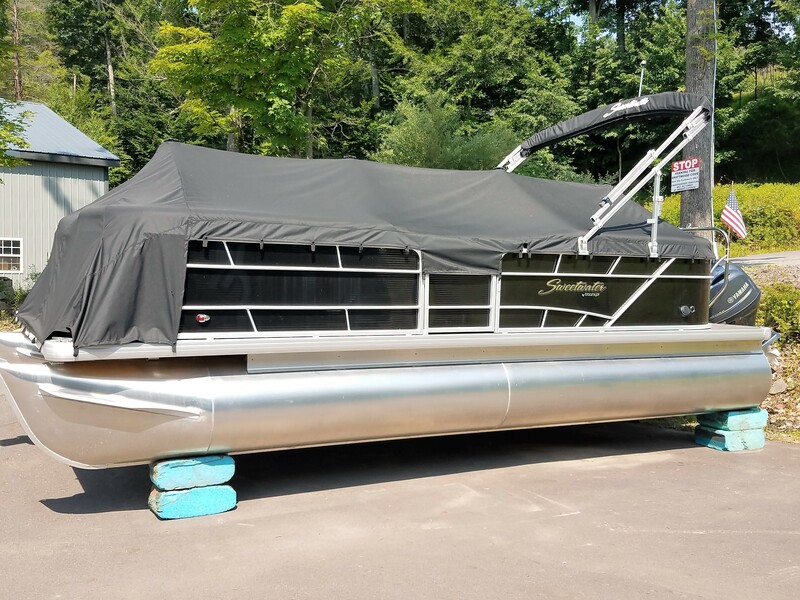 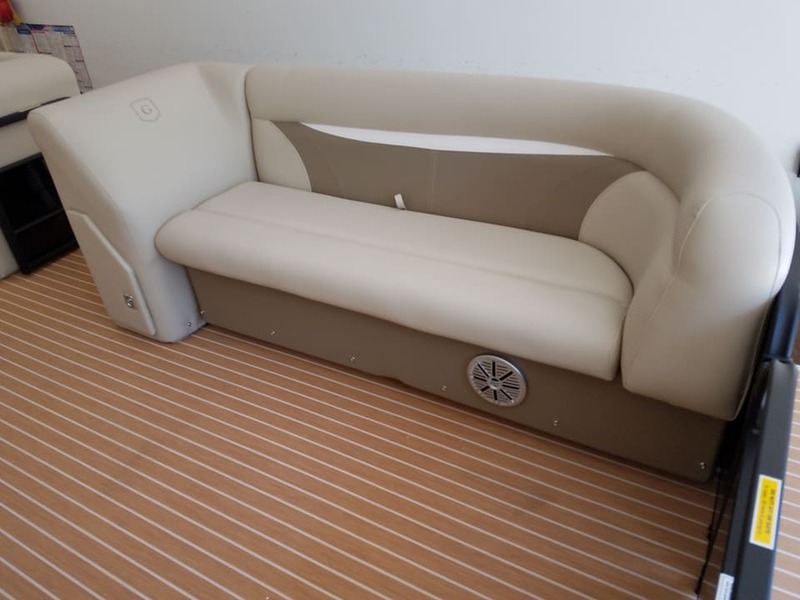 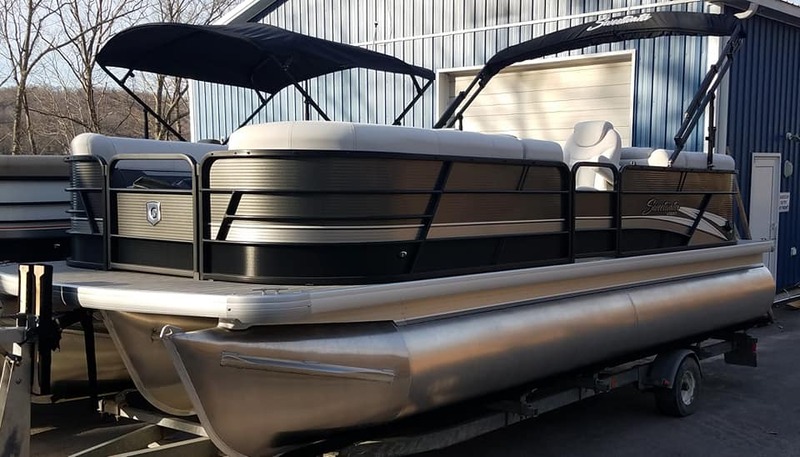 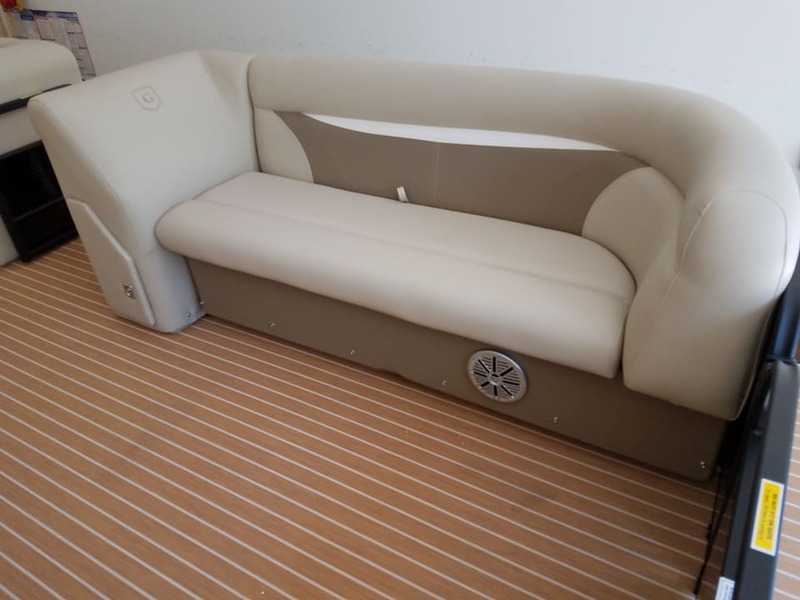 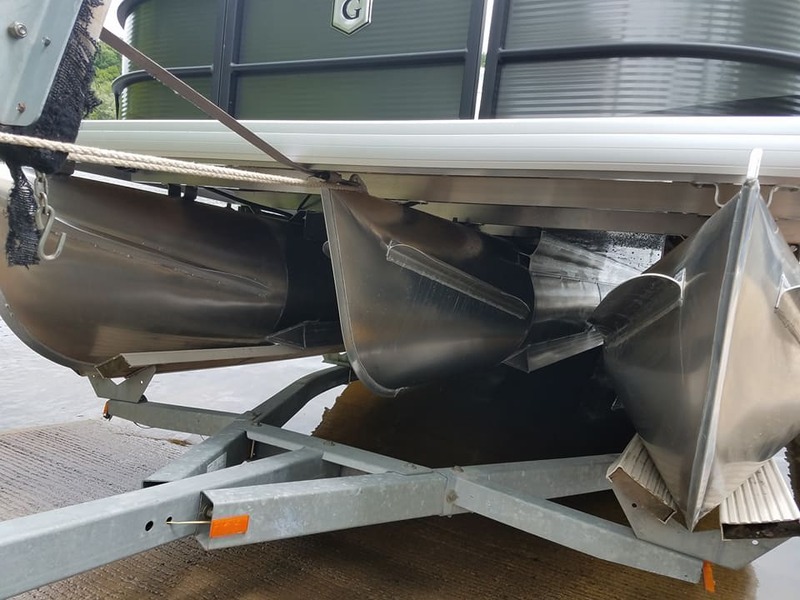 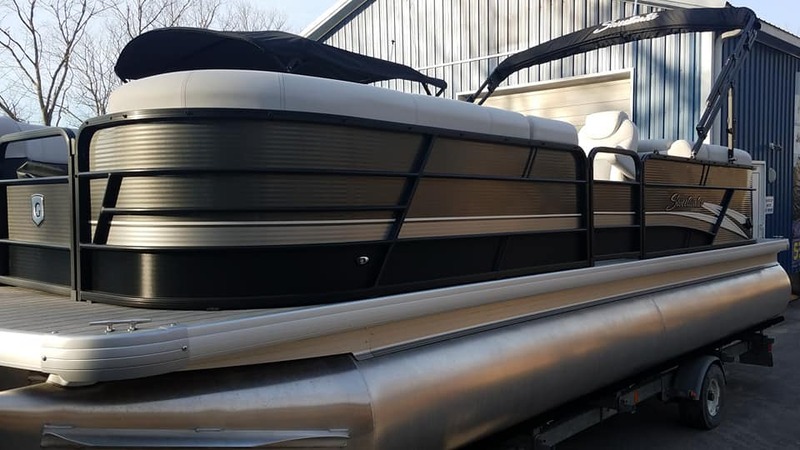 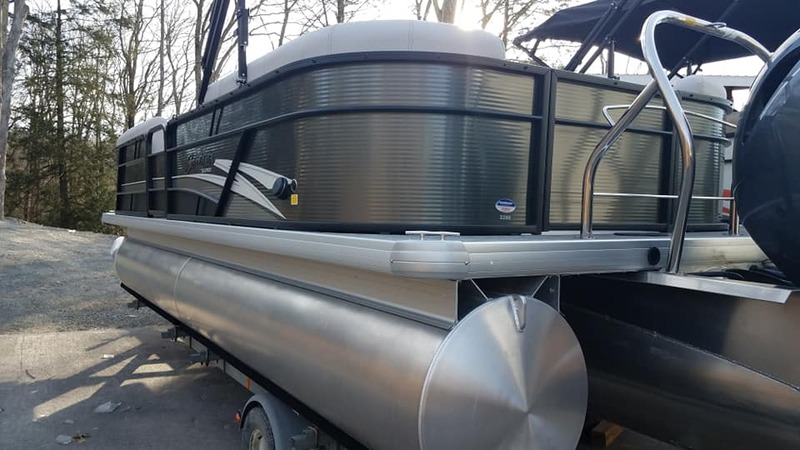 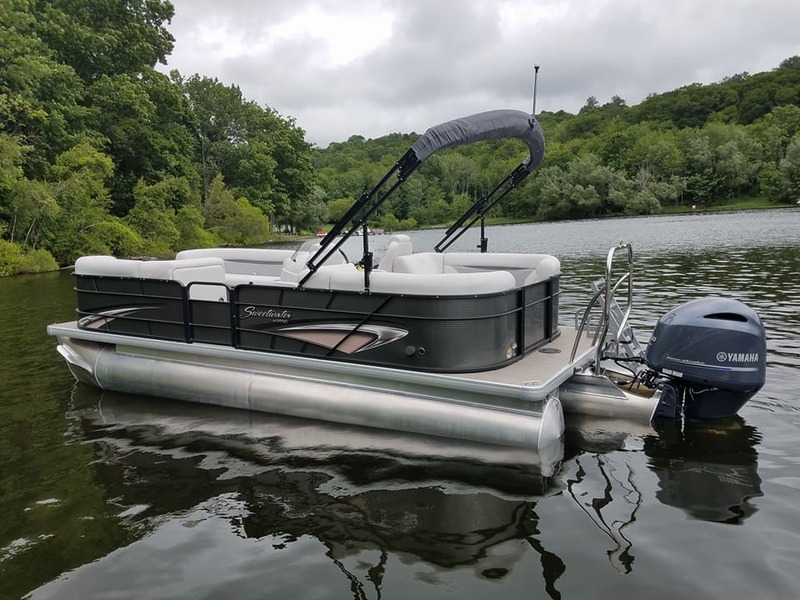 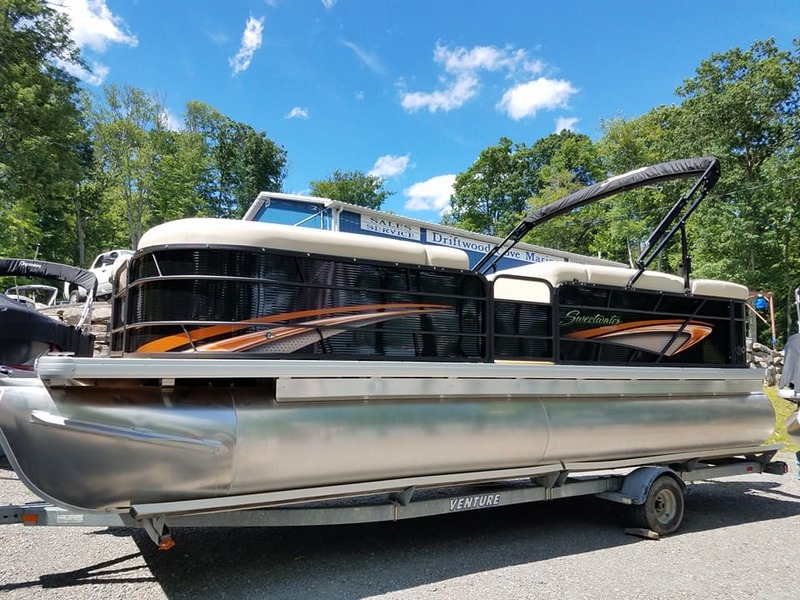 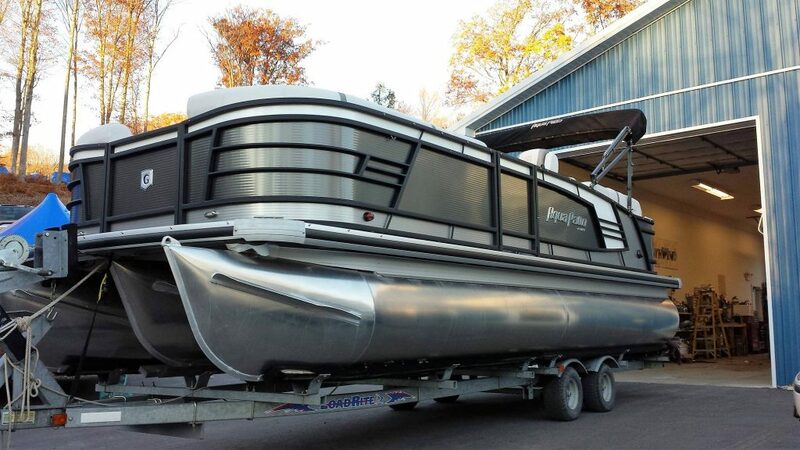 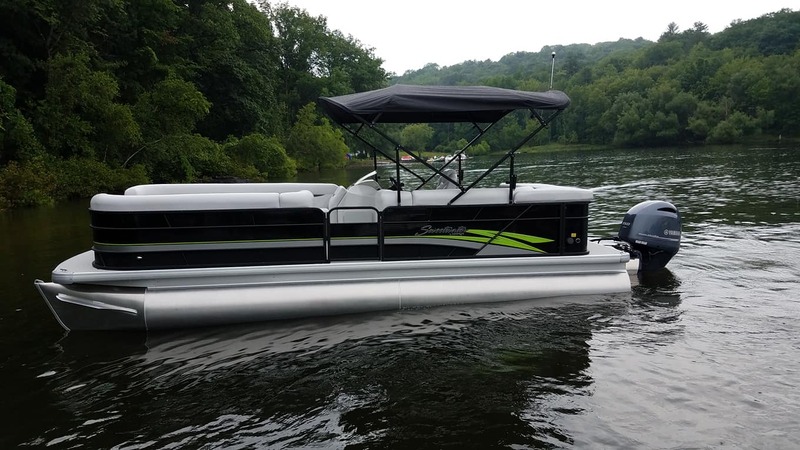 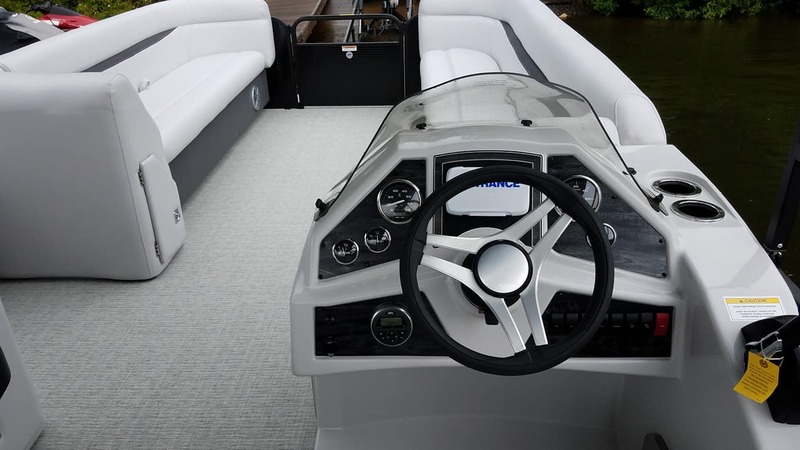 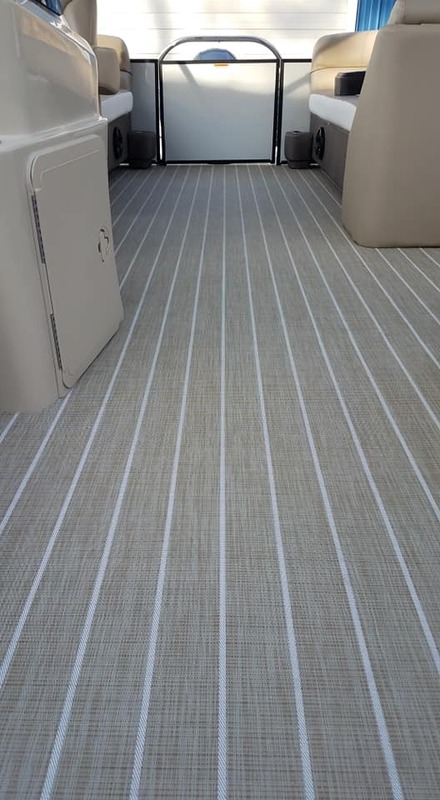 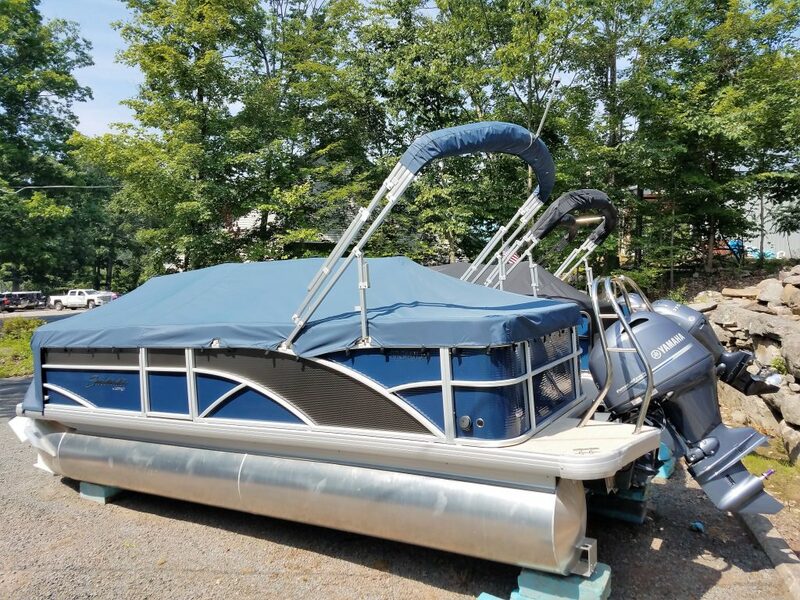 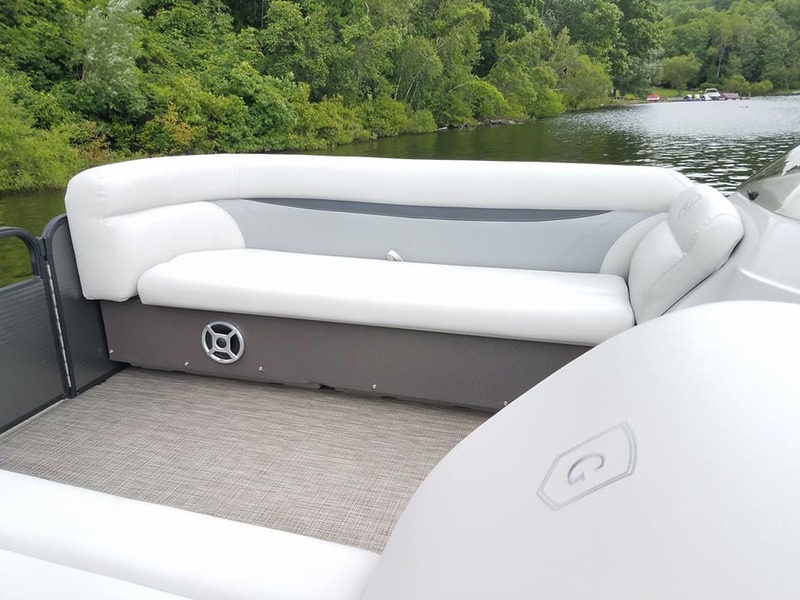 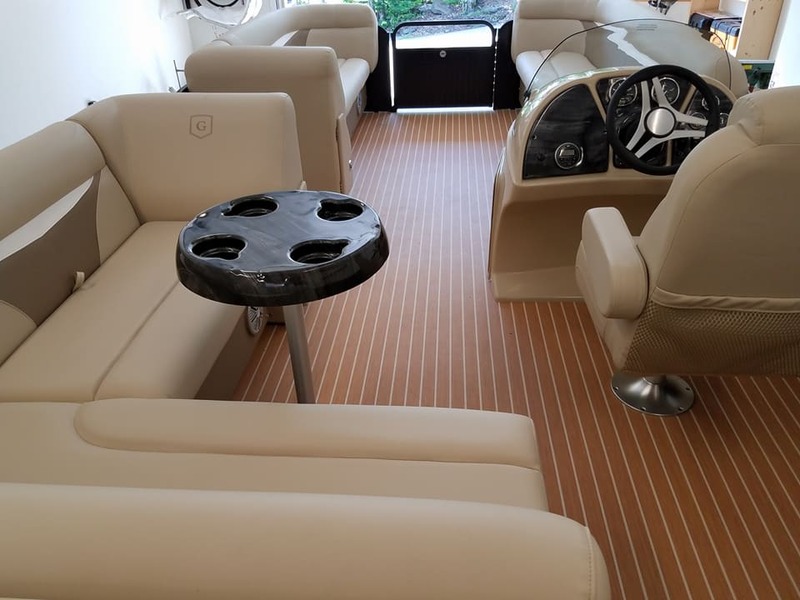 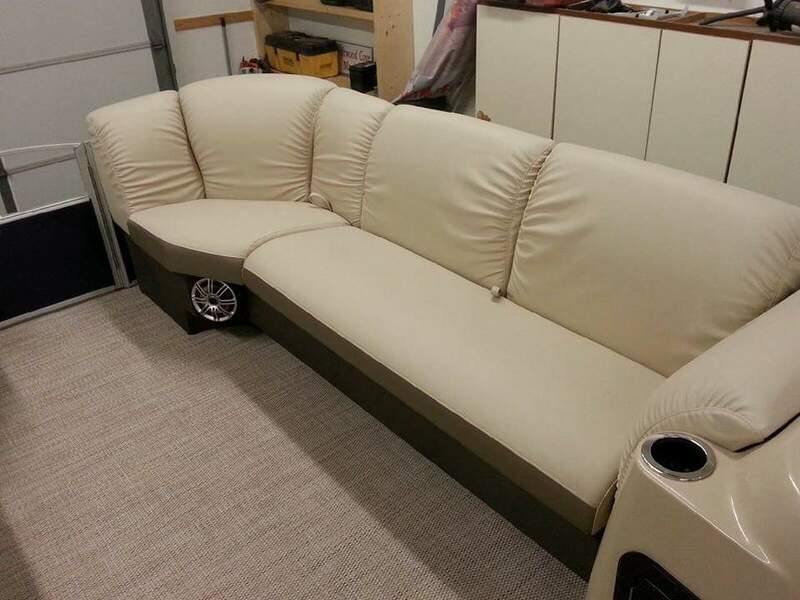 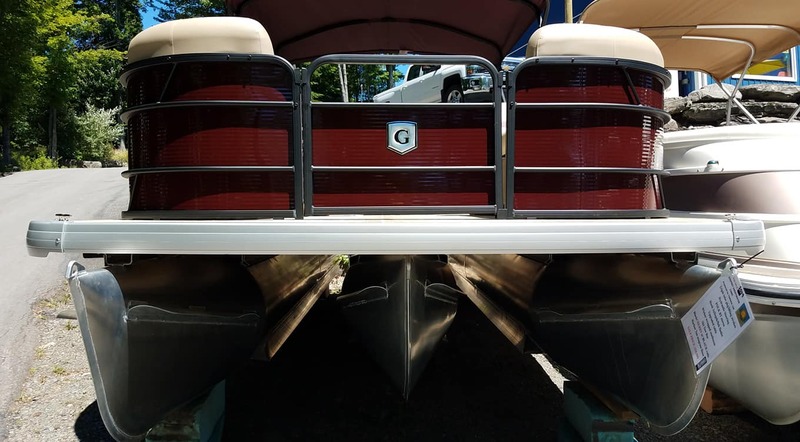 Triple tube, under deck sheeting, lifting strakes, hydraulic steering, depth fish finder/GPS, BT stereo/4 speakers, changing room, the new wicker wrapped seat boxes, metro grey seagrass flooring, up graded black rails…….this is a SWEET ride…….FINANCING AVAILABLE……great term/rates!. 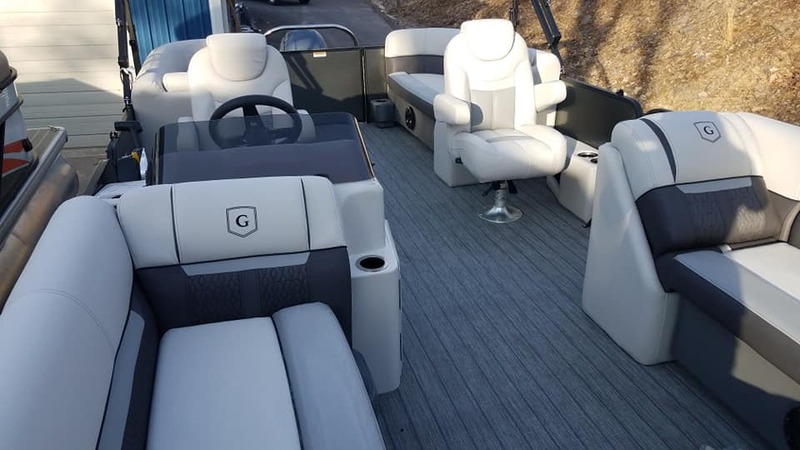 FEATURES include: Sport tube package, lifting strakes, under deck sheeting, hydraulic steering, depth/fish finder, POLK BT stereo & POLK speakers, changing room, mates chair with foot rest, METRO grey seagrass flooring……FINANCING AVAILABLE…..great rates! 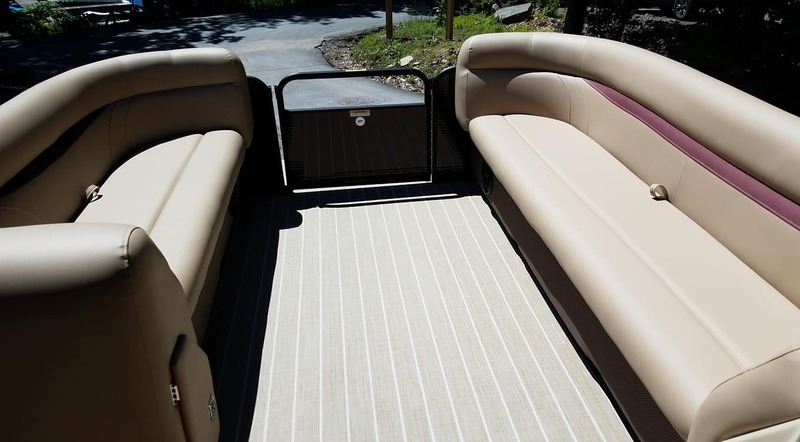 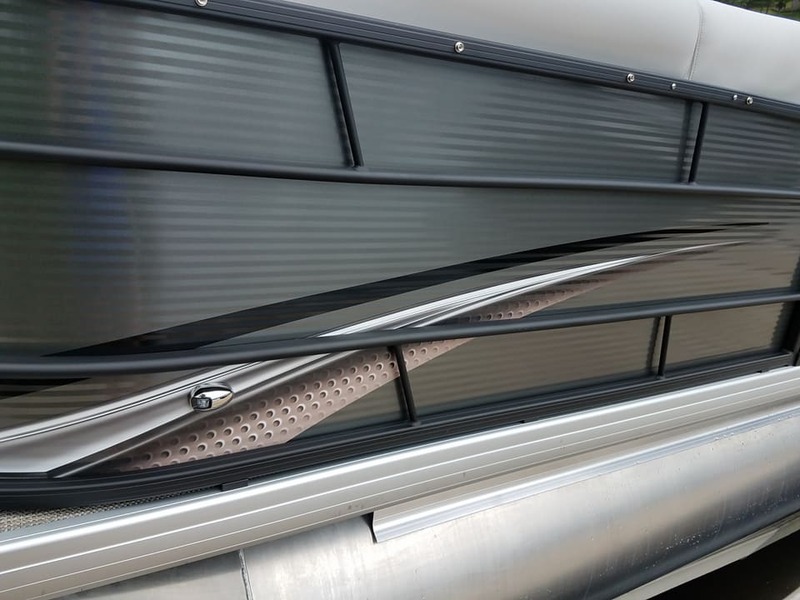 Check Out Our Facebook Post For More Pictures and Call Us Today! 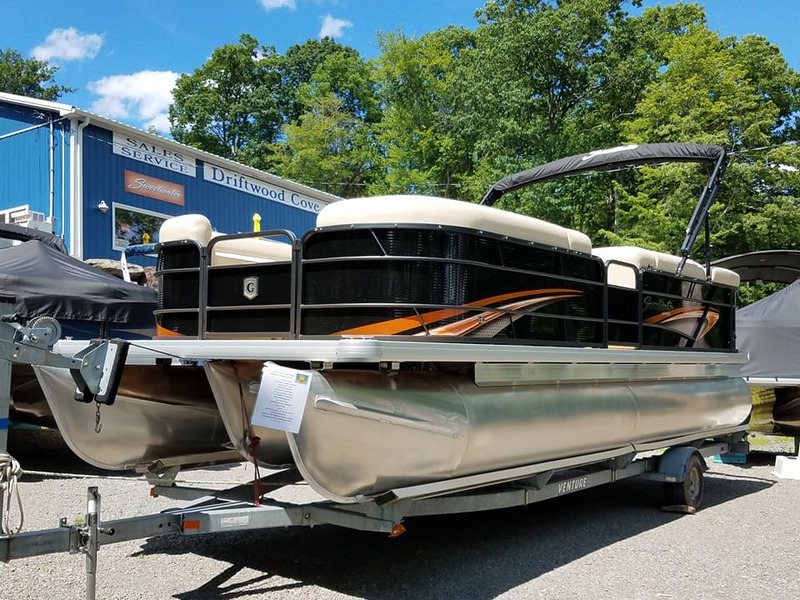 Call Us Today…570-689-4404 or 570-470-4176! 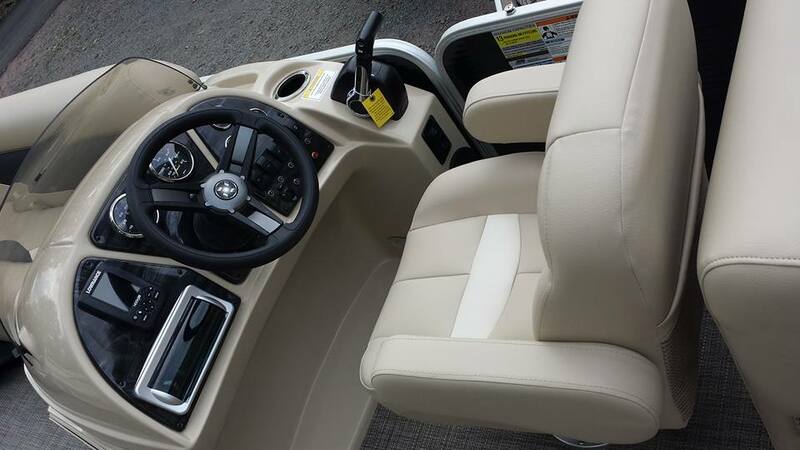 We Offer Friendly Courteous Service! 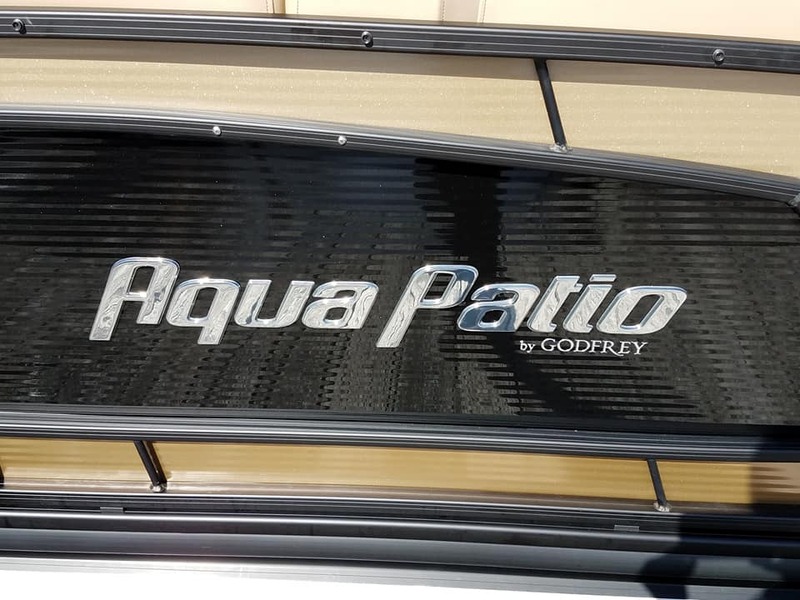 Now Open On Ledgedale Road!